Do you ever wonder what it would be like to escape to your own Island? 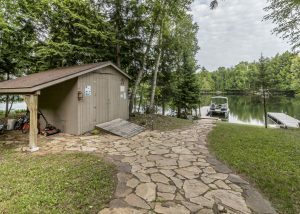 You're in luck my friend; it is now an offering in the majestic Northwoods of Wisconsin. 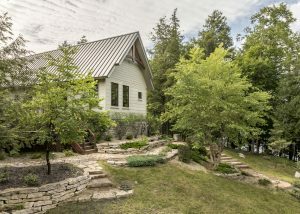 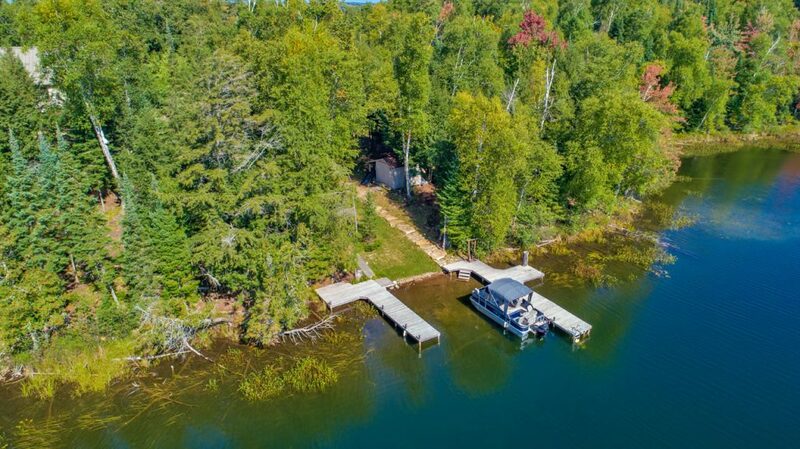 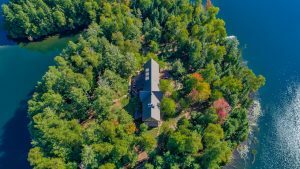 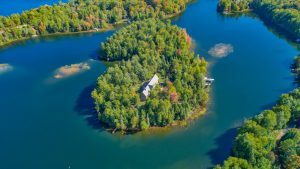 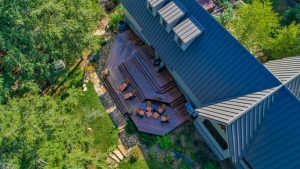 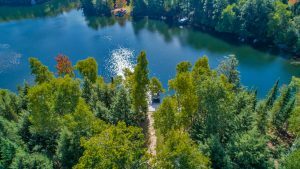 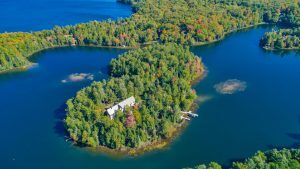 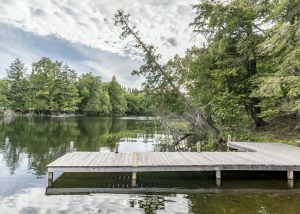 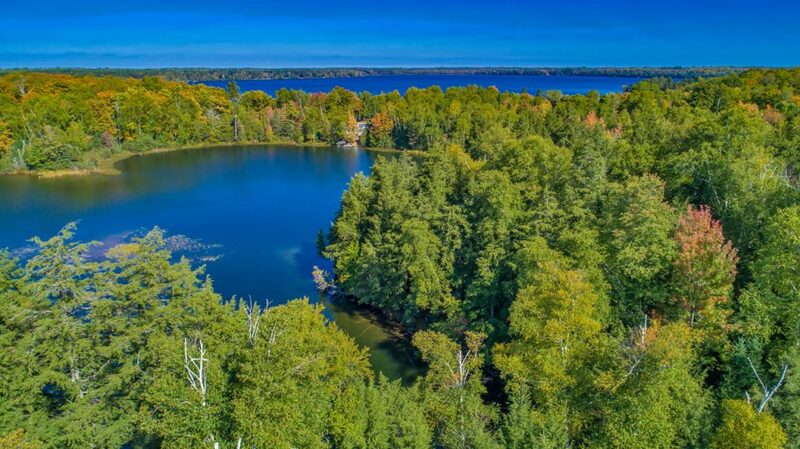 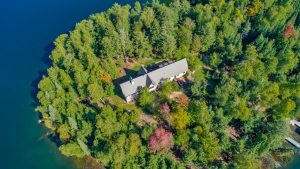 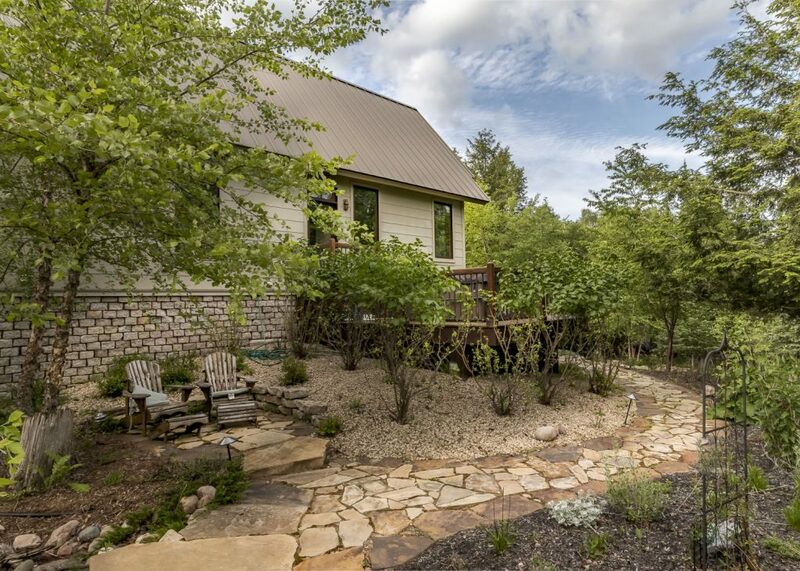 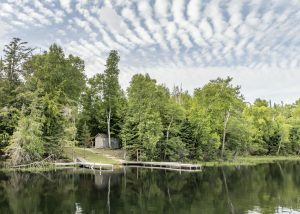 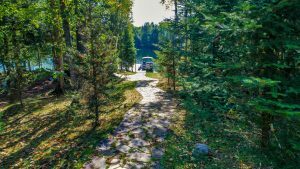 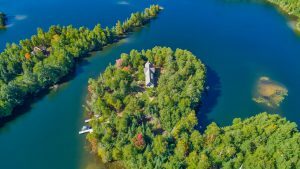 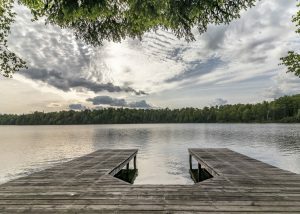 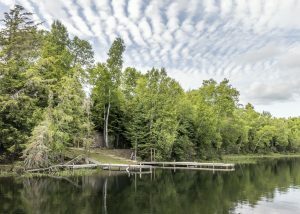 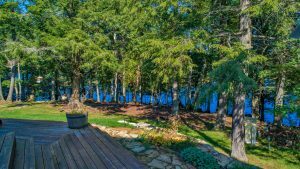 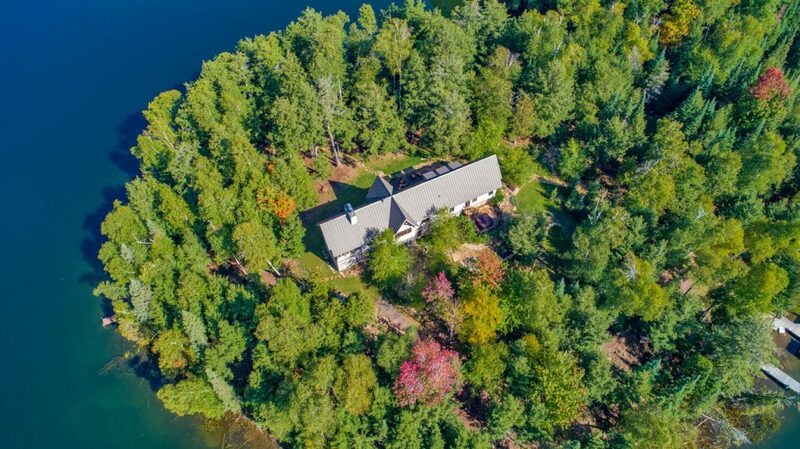 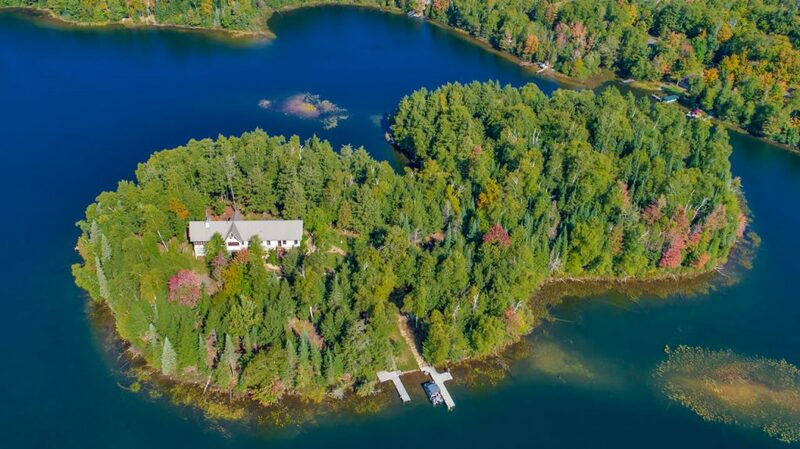 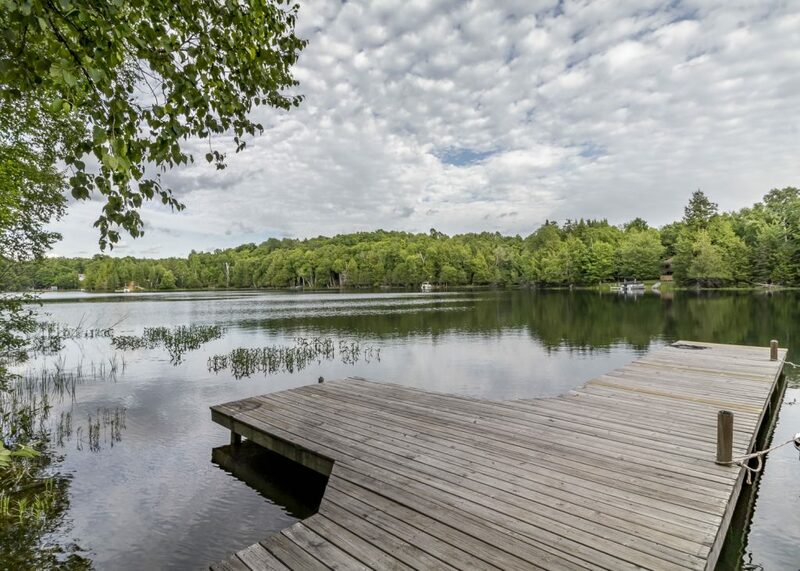 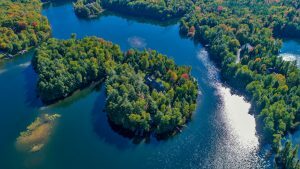 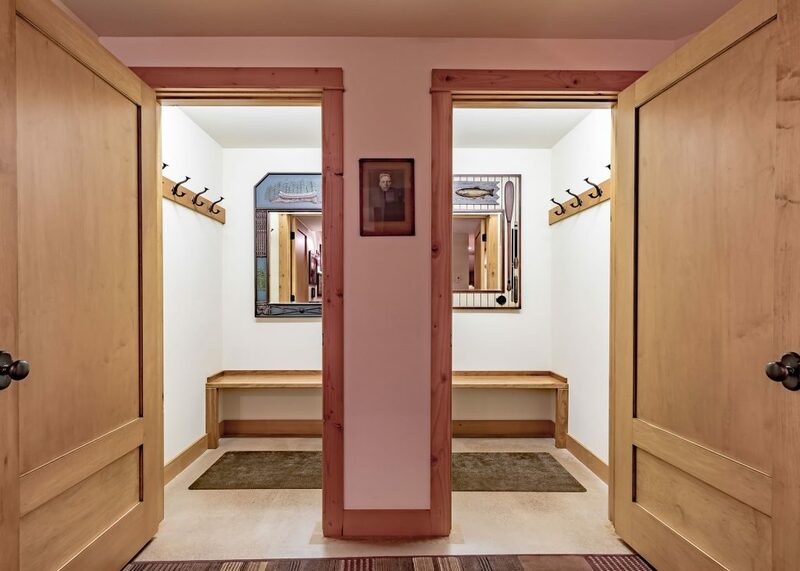 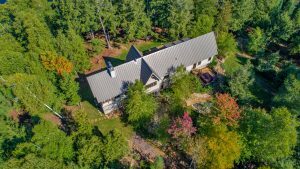 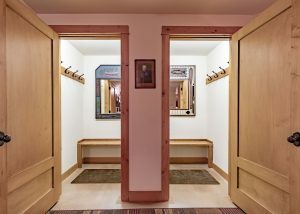 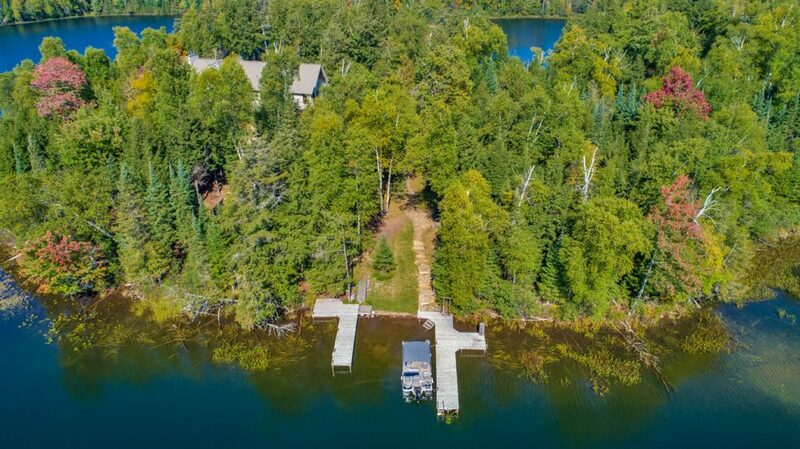 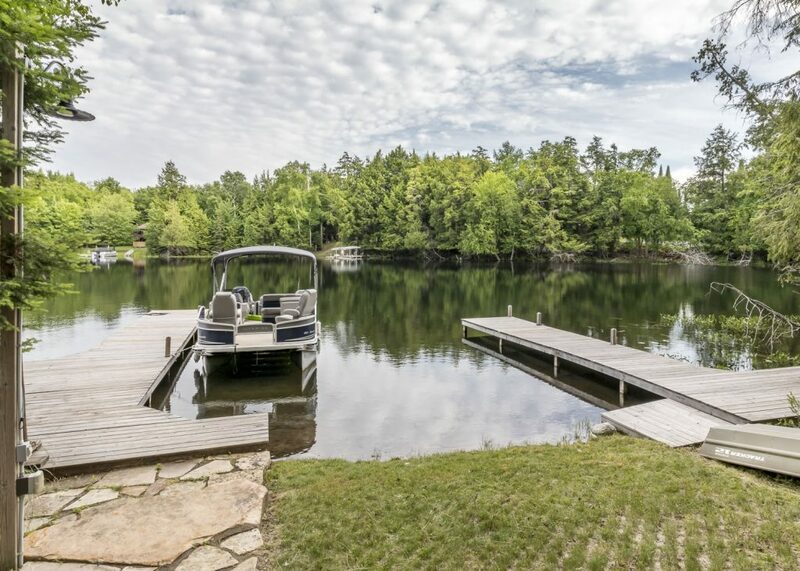 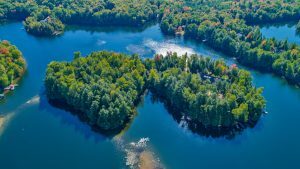 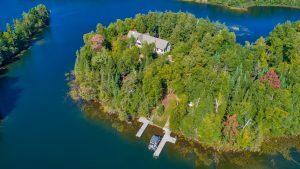 4 acres of serenity with over 2100 feet of frontage, majestic trees, long winding stone granite paths, one that leads to a private boat house. 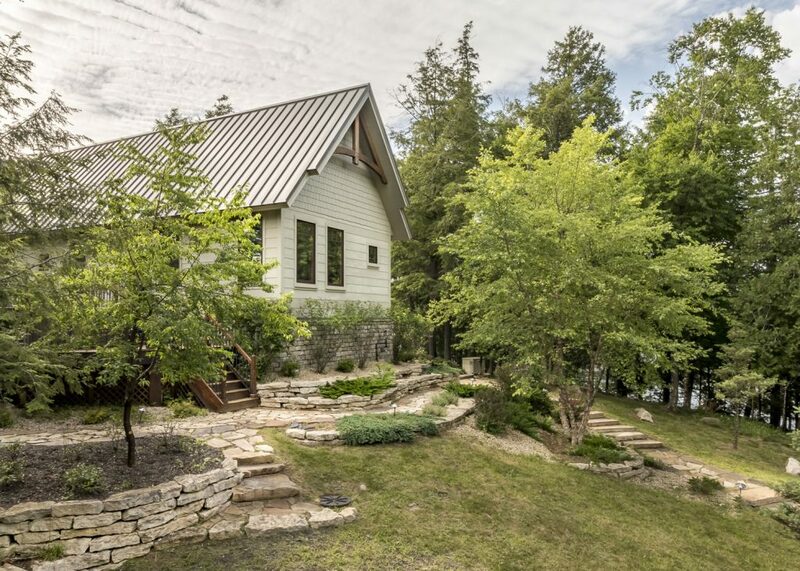 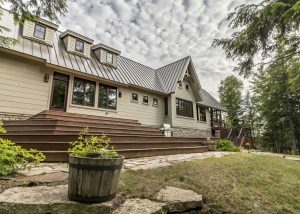 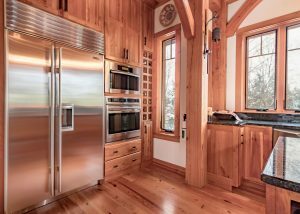 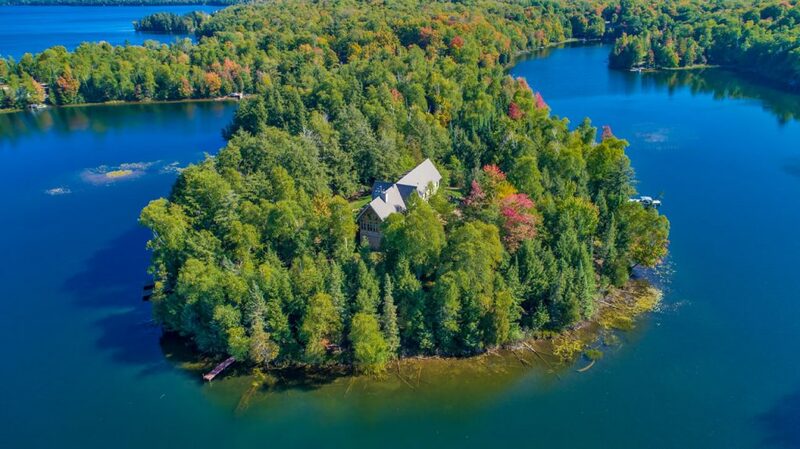 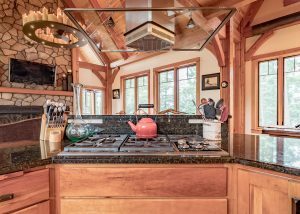 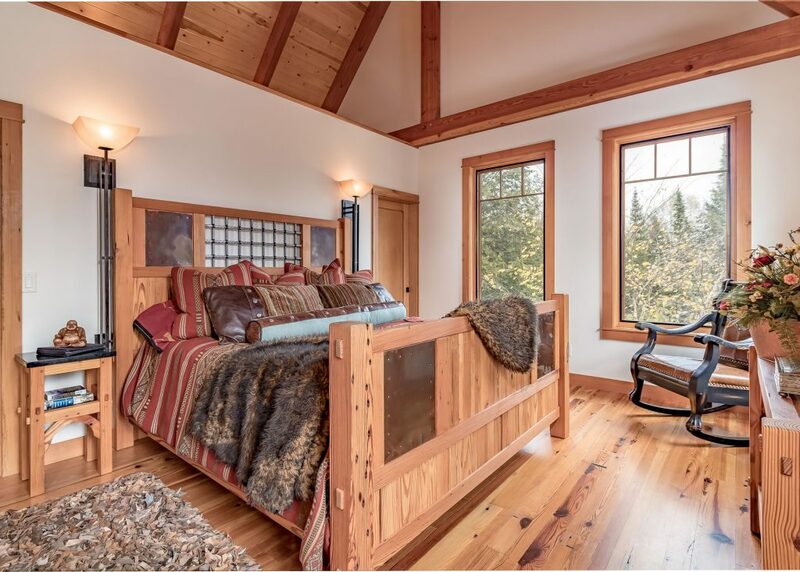 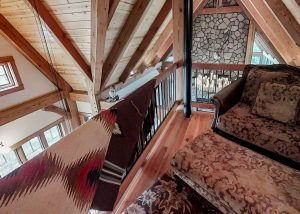 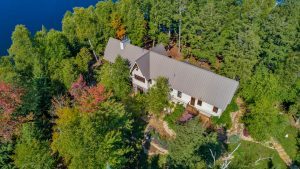 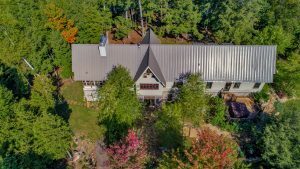 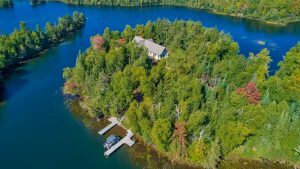 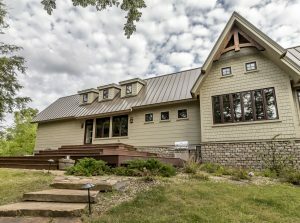 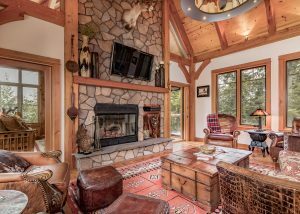 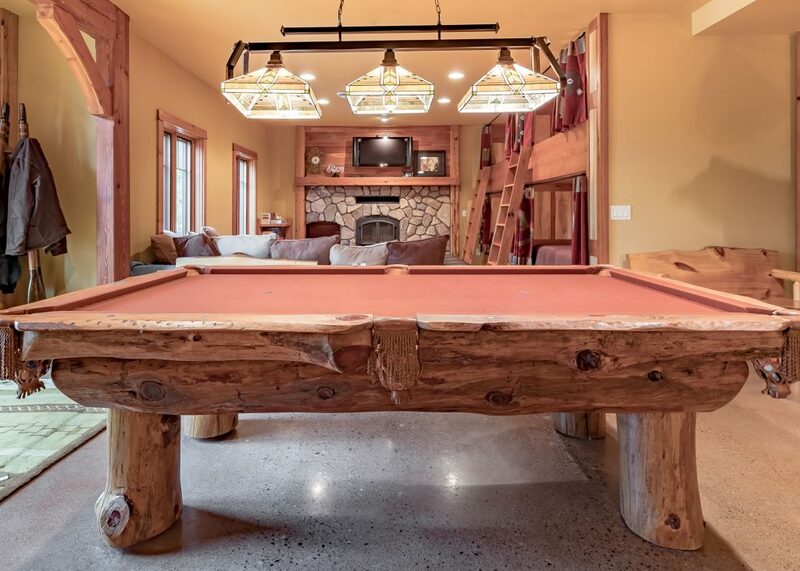 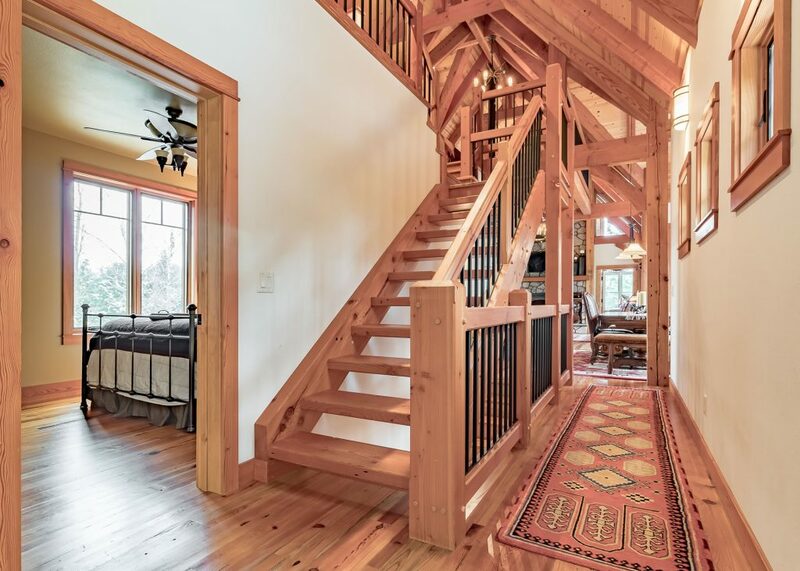 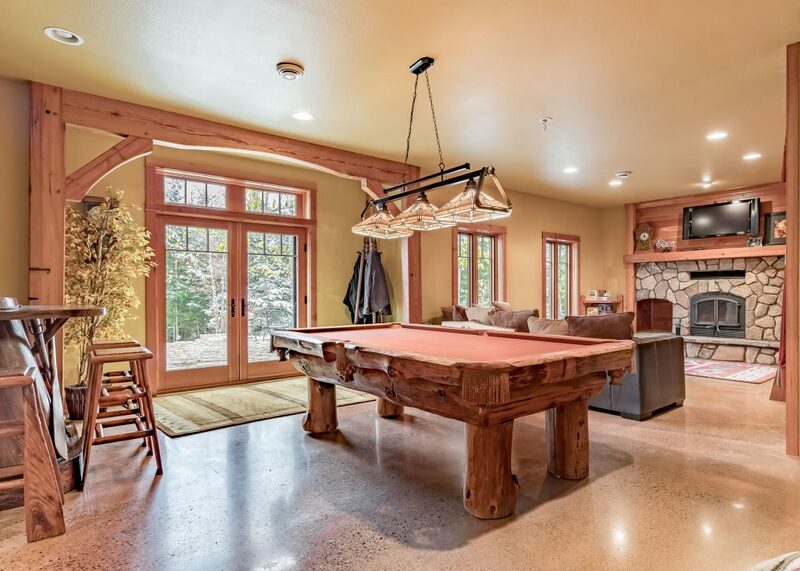 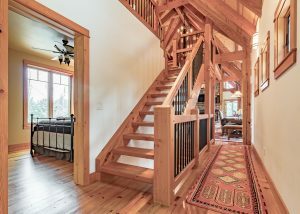 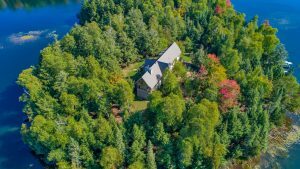 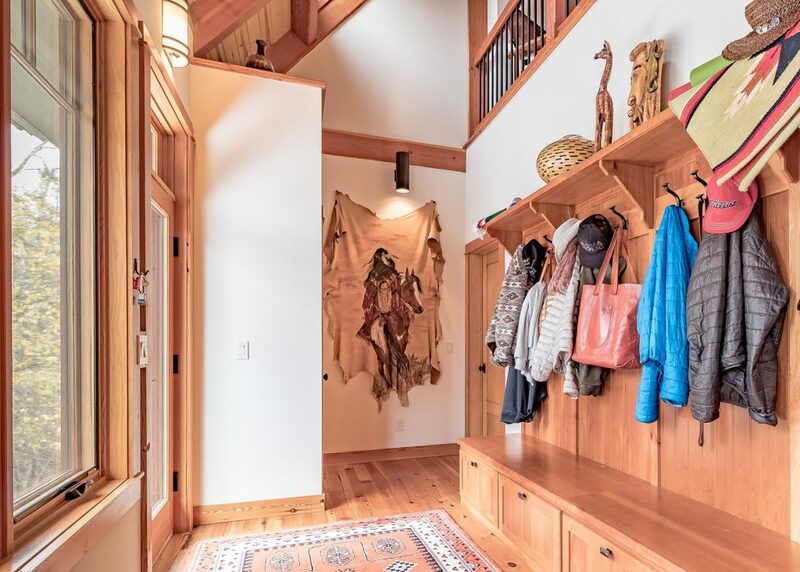 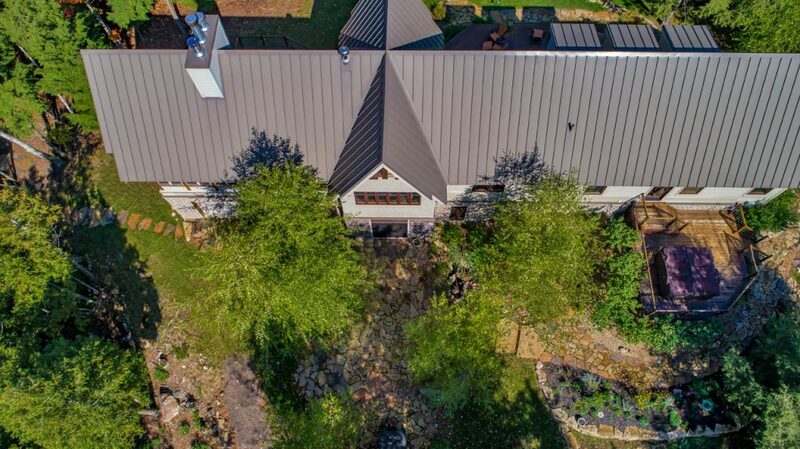 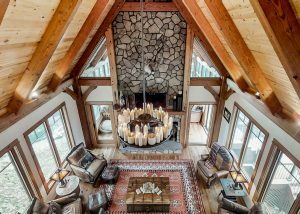 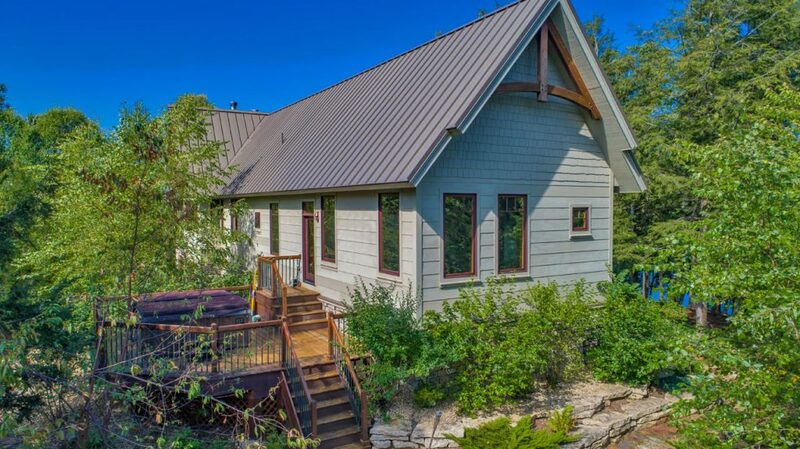 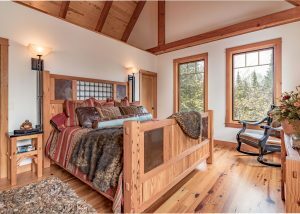 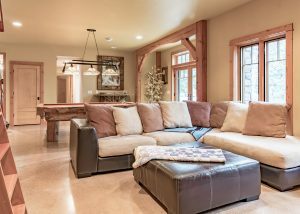 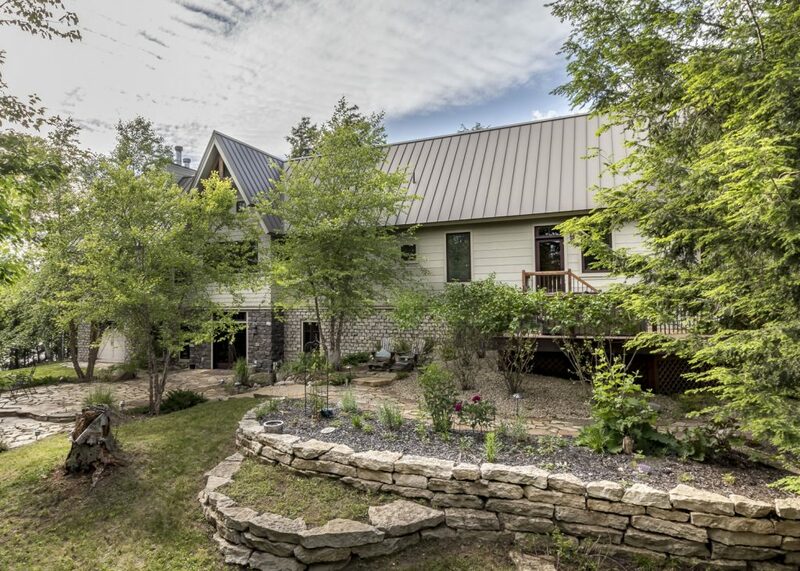 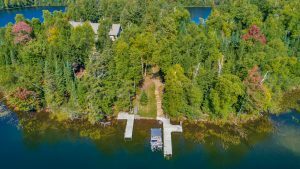 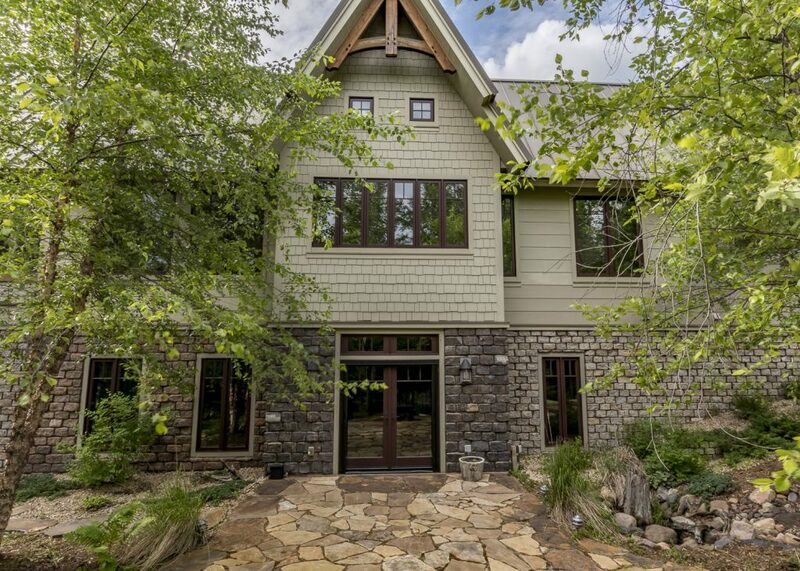 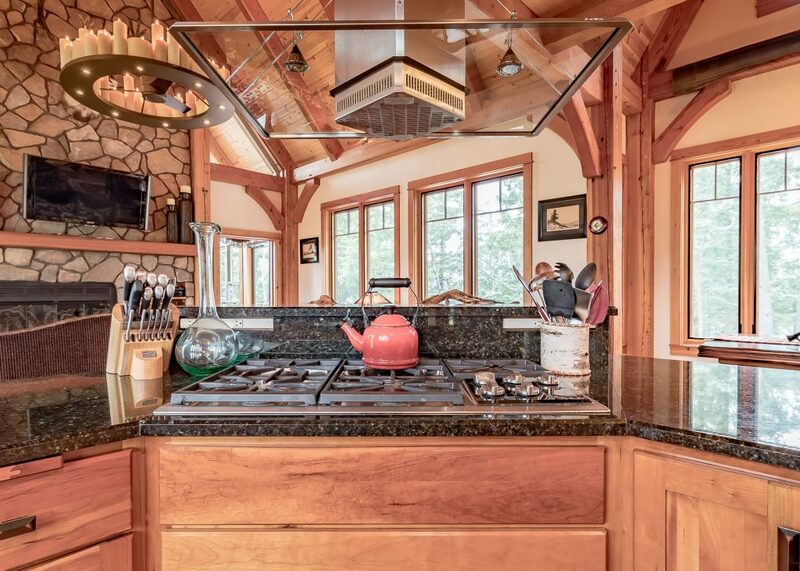 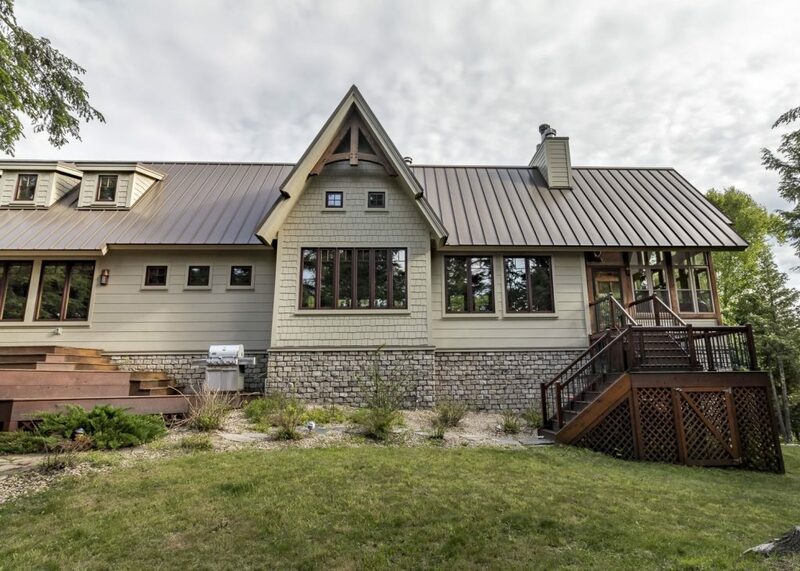 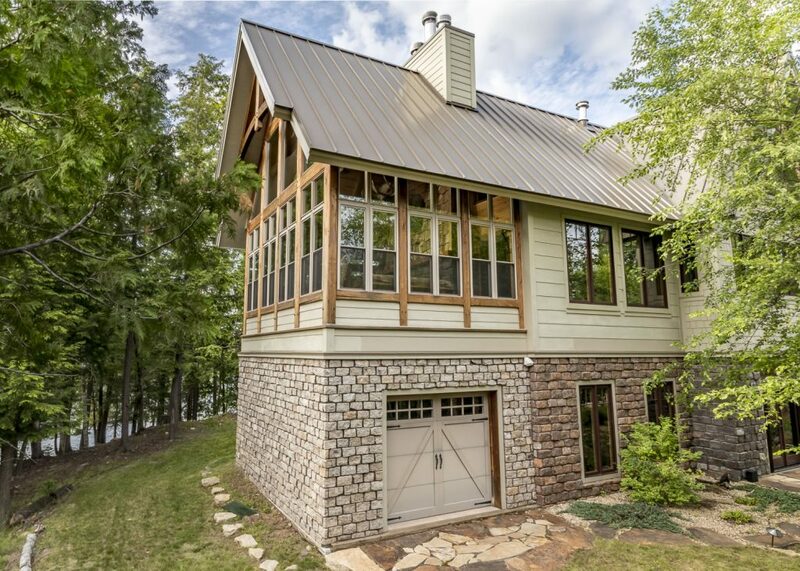 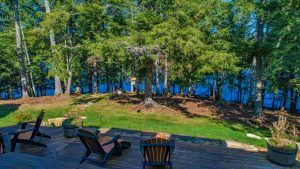 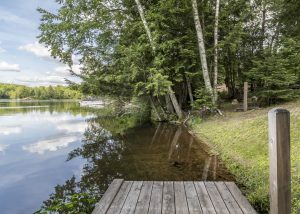 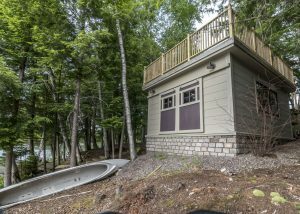 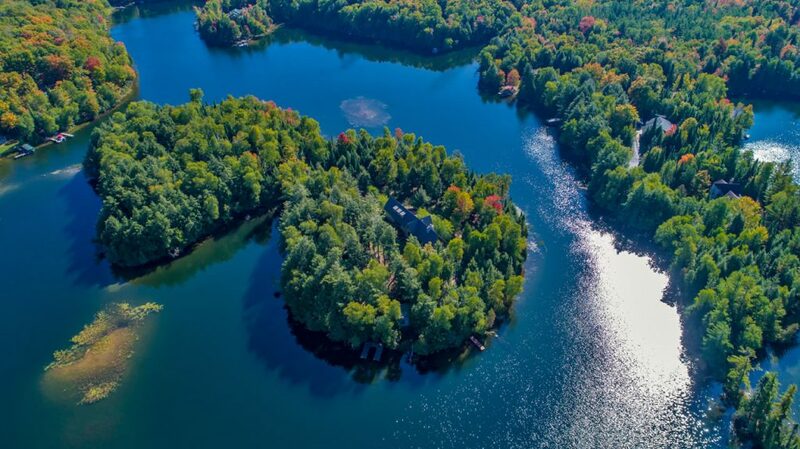 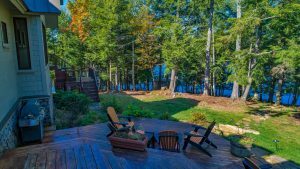 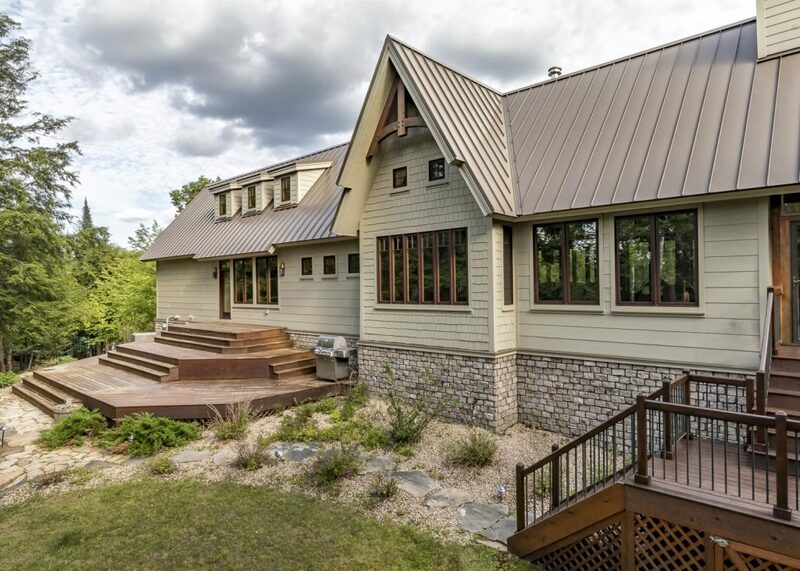 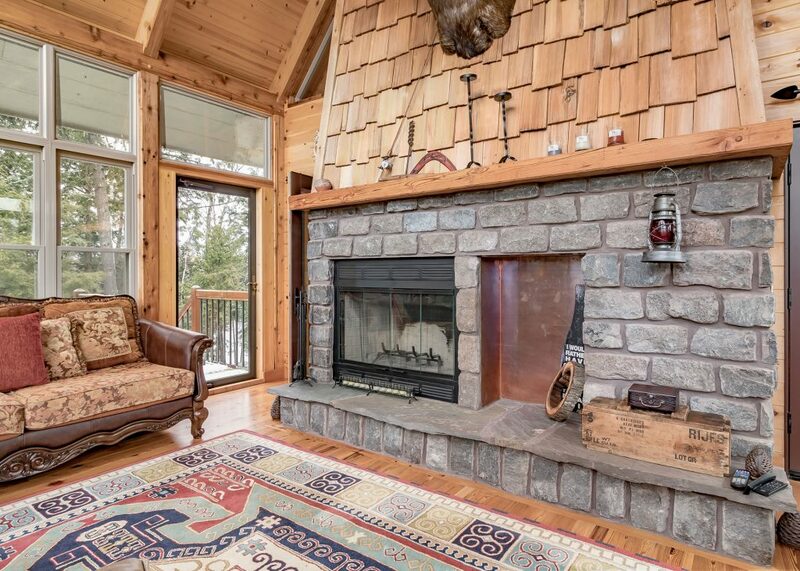 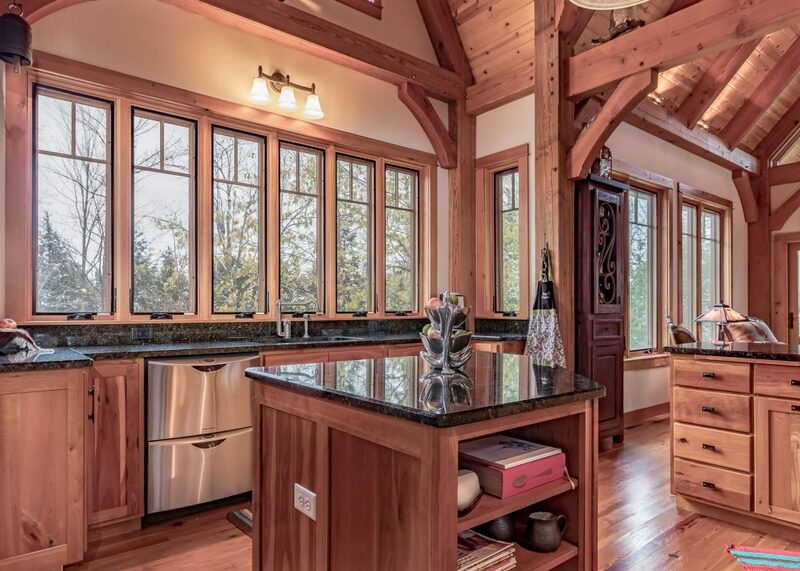 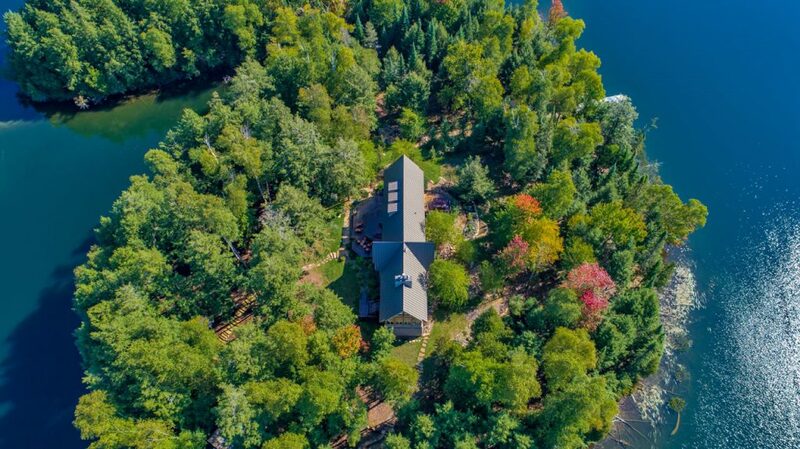 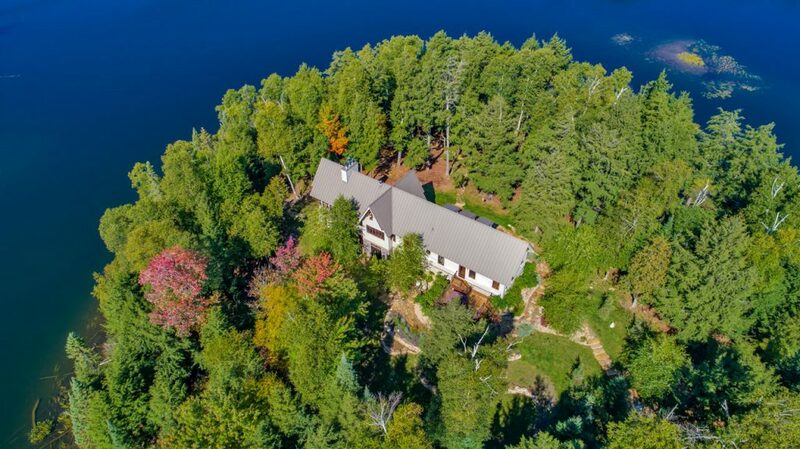 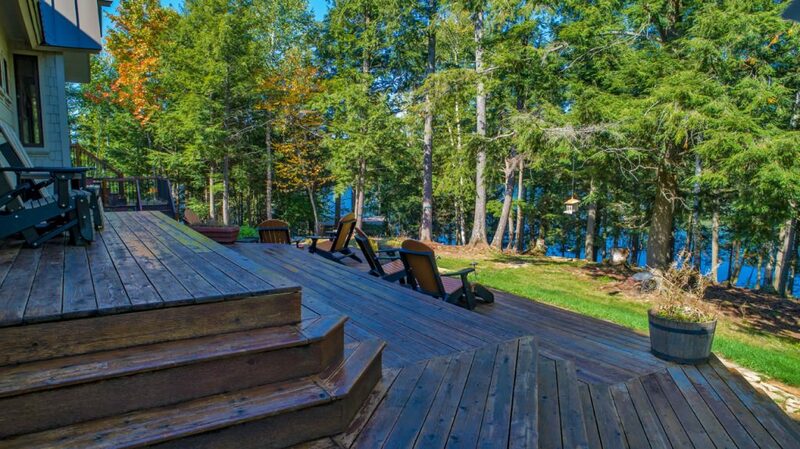 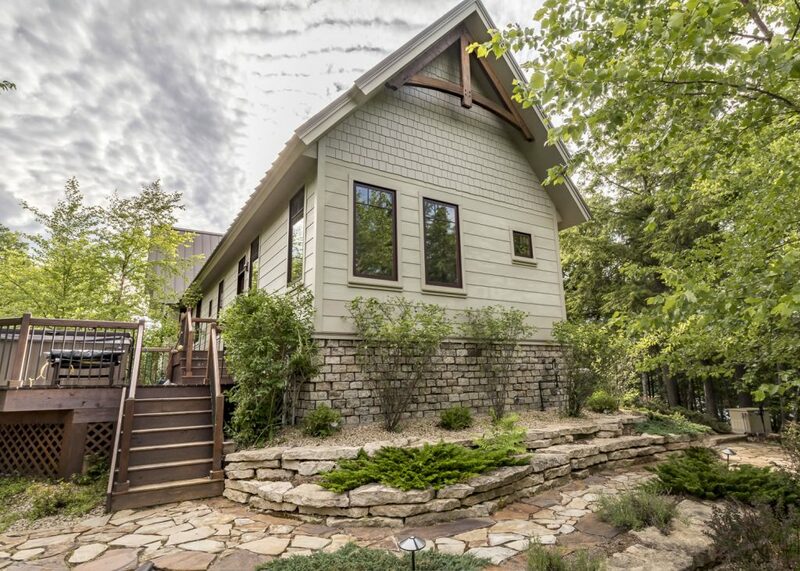 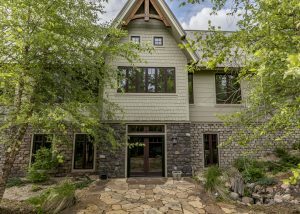 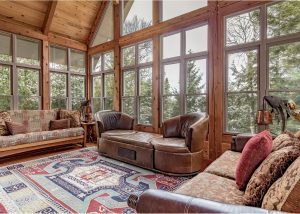 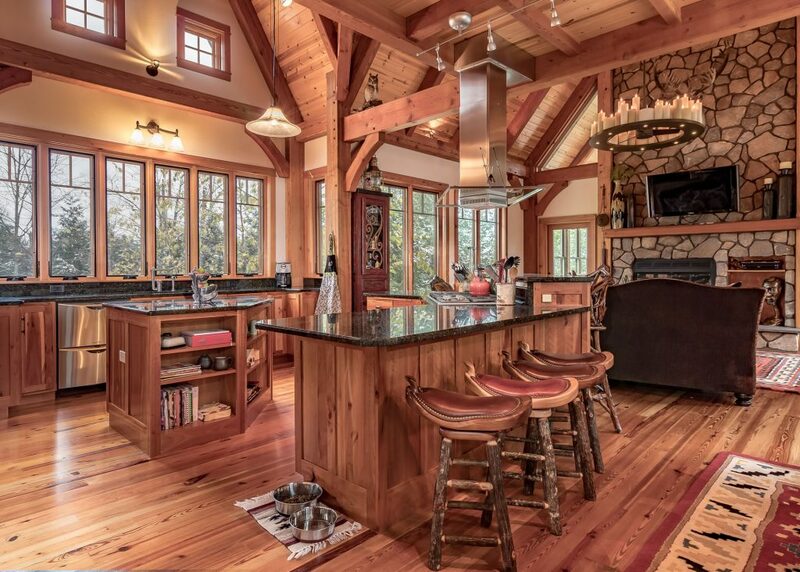 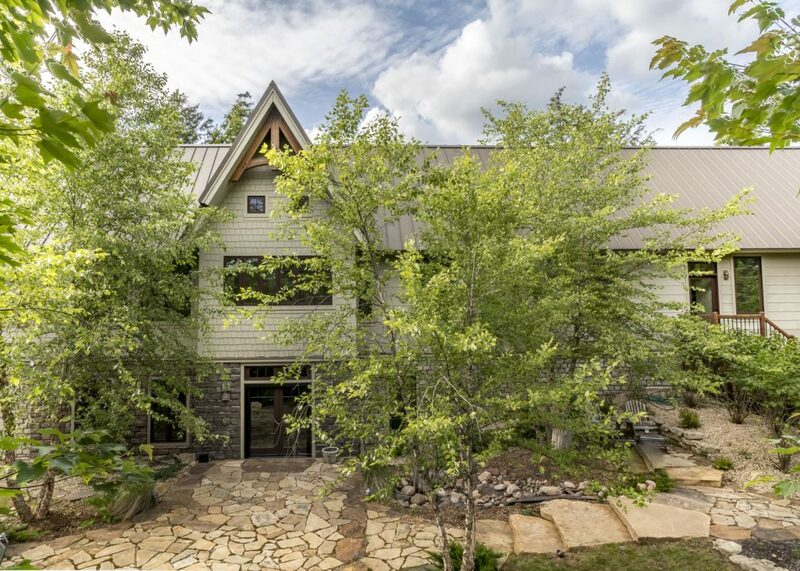 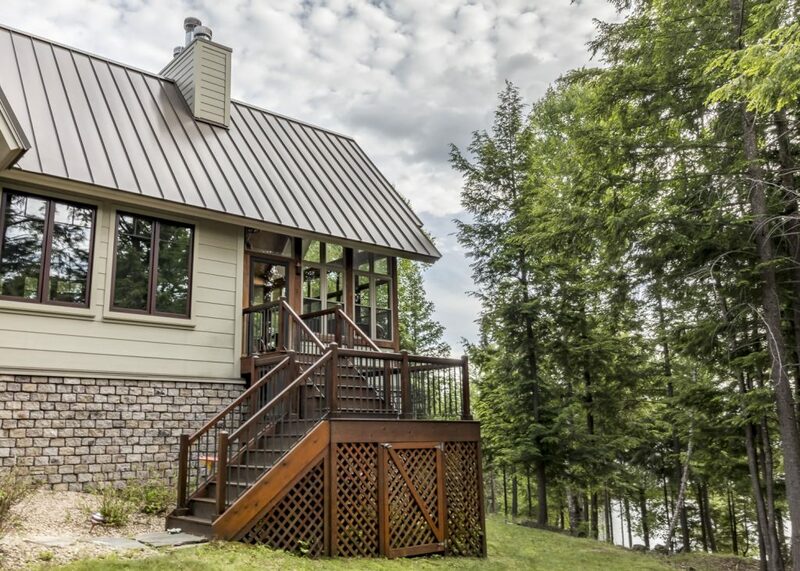 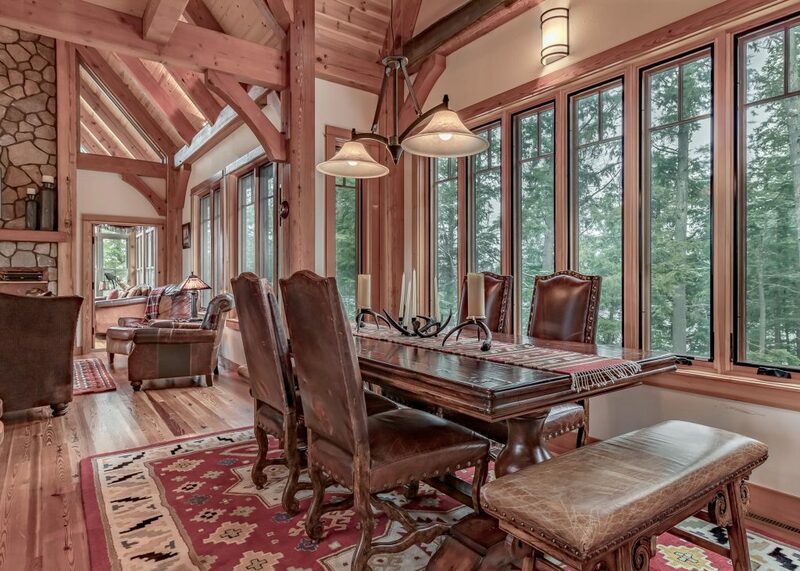 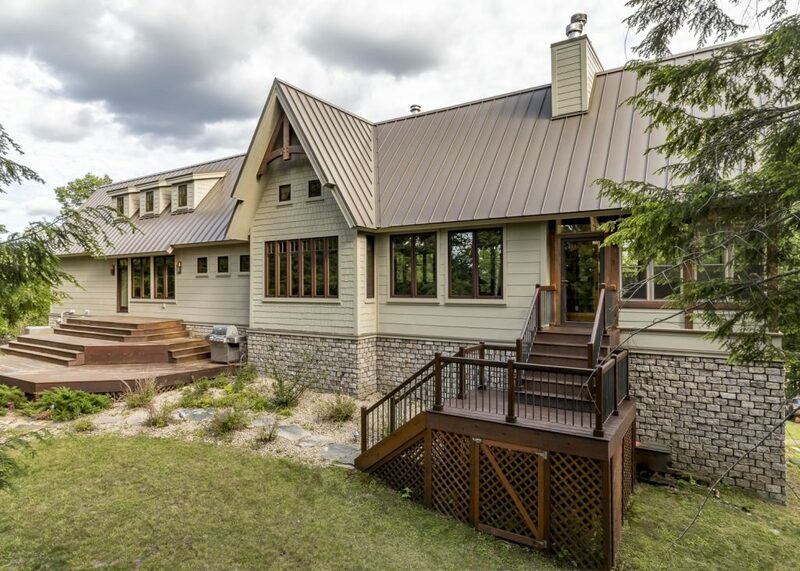 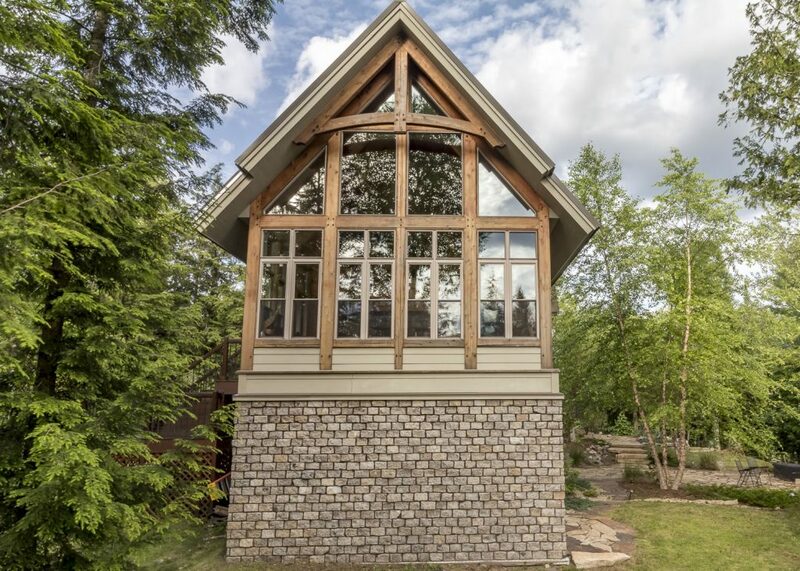 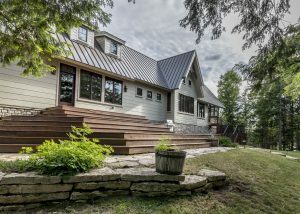 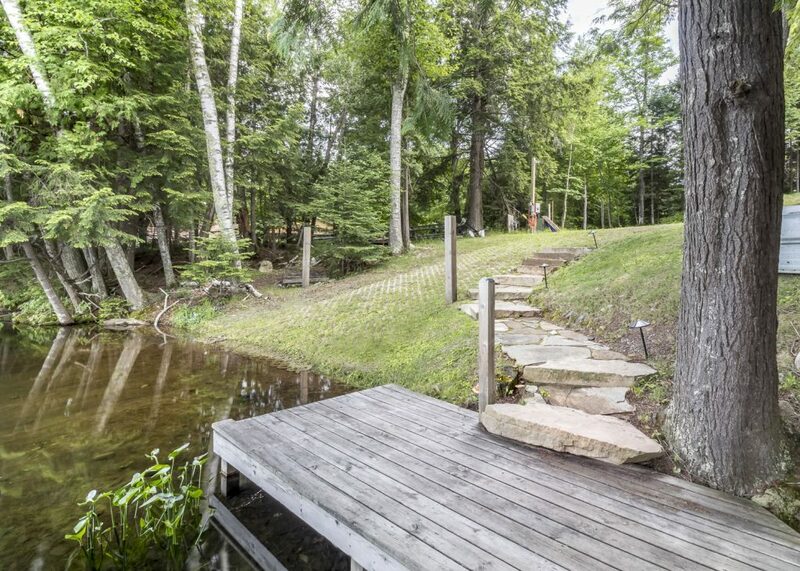 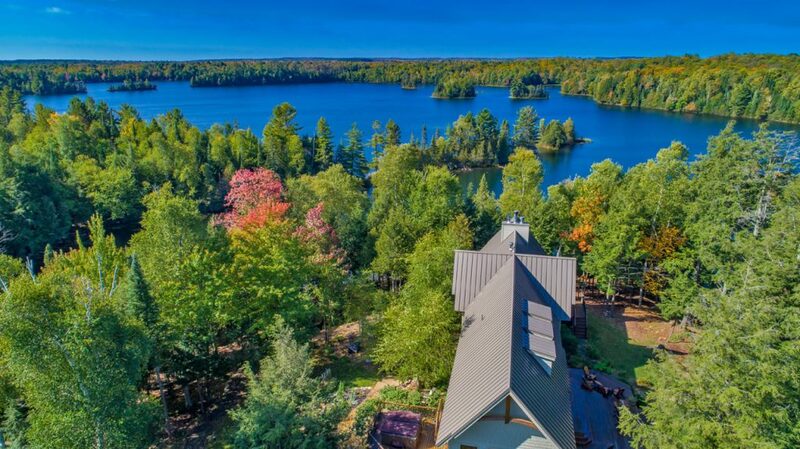 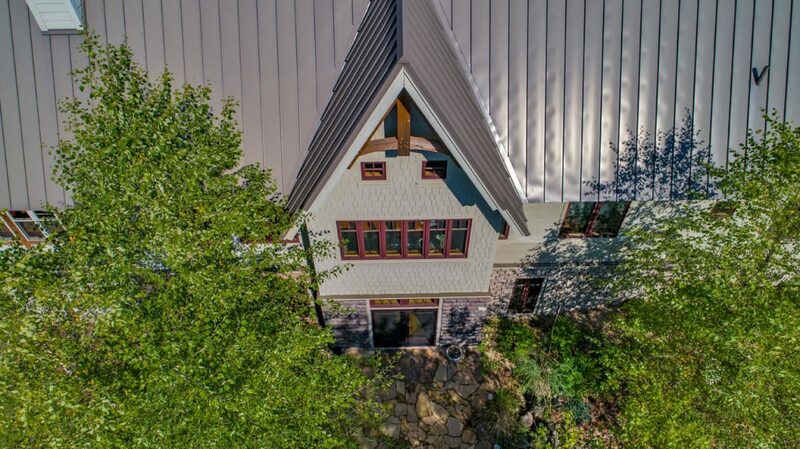 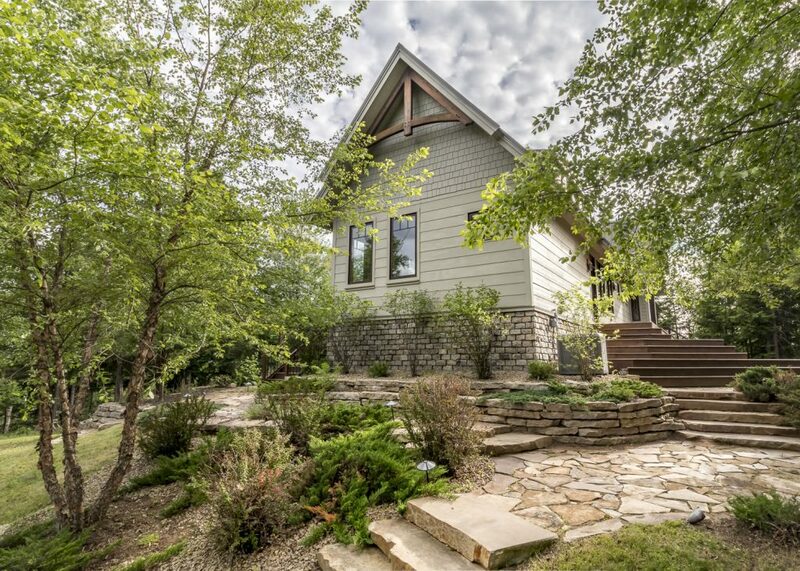 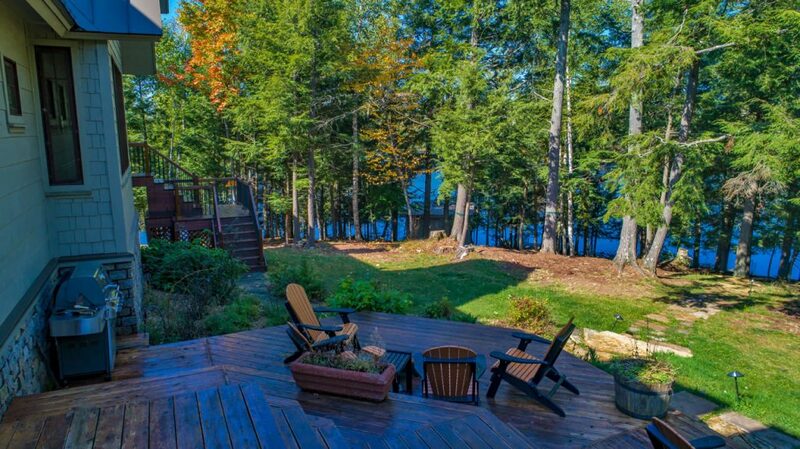 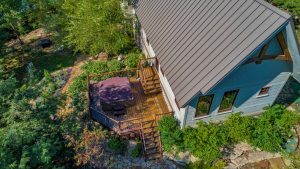 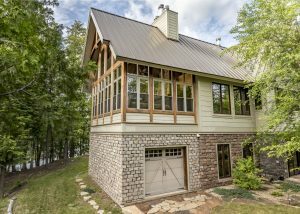 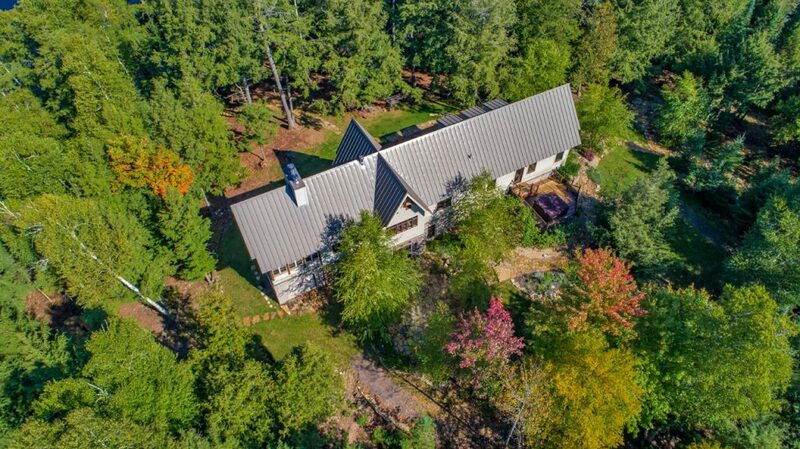 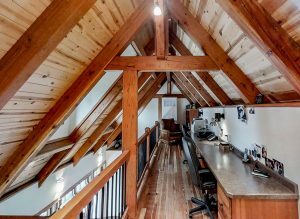 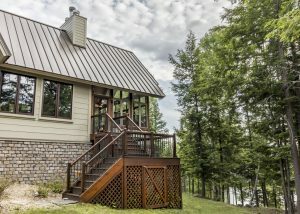 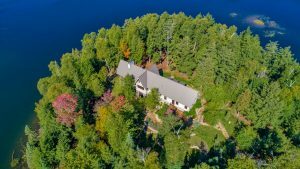 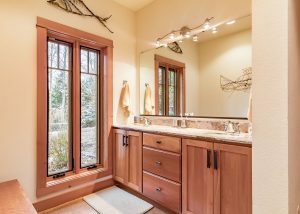 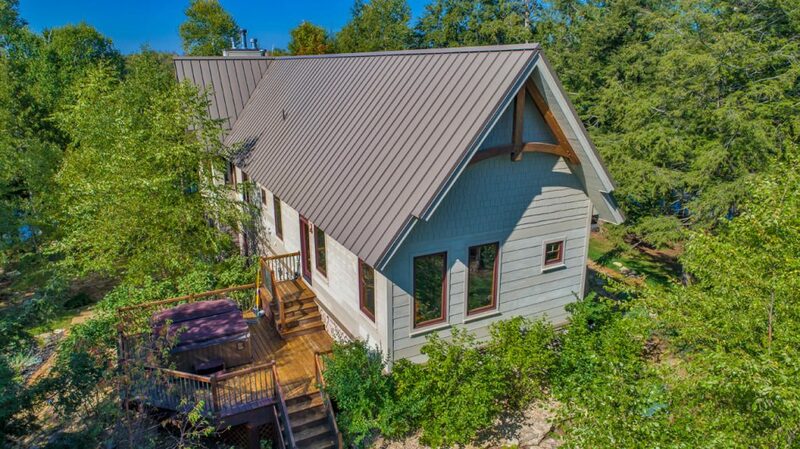 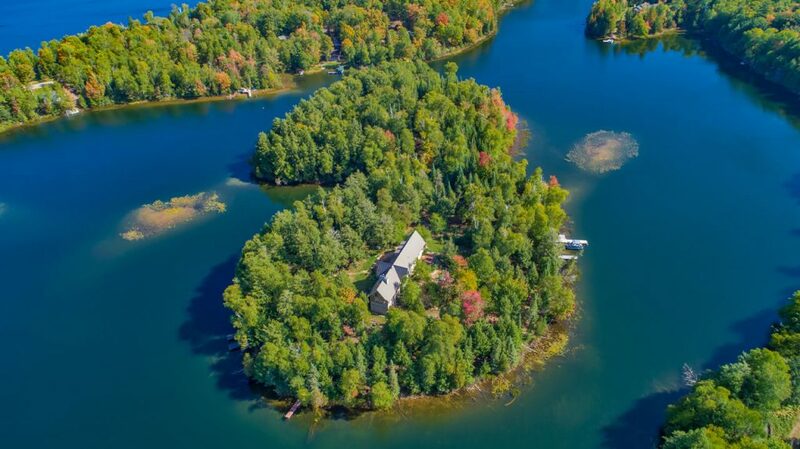 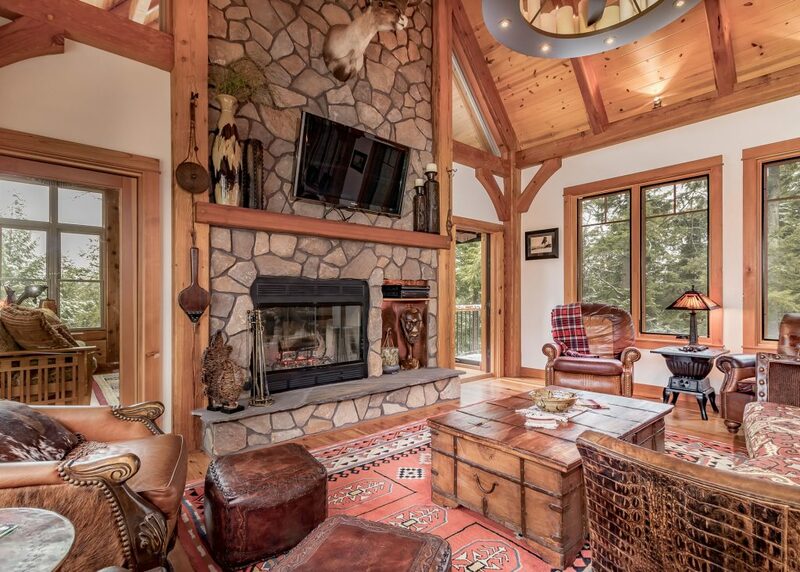 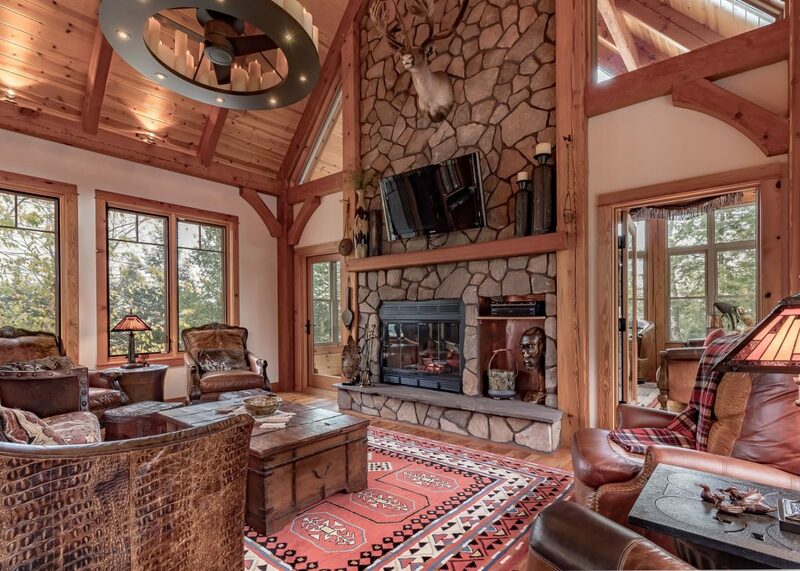 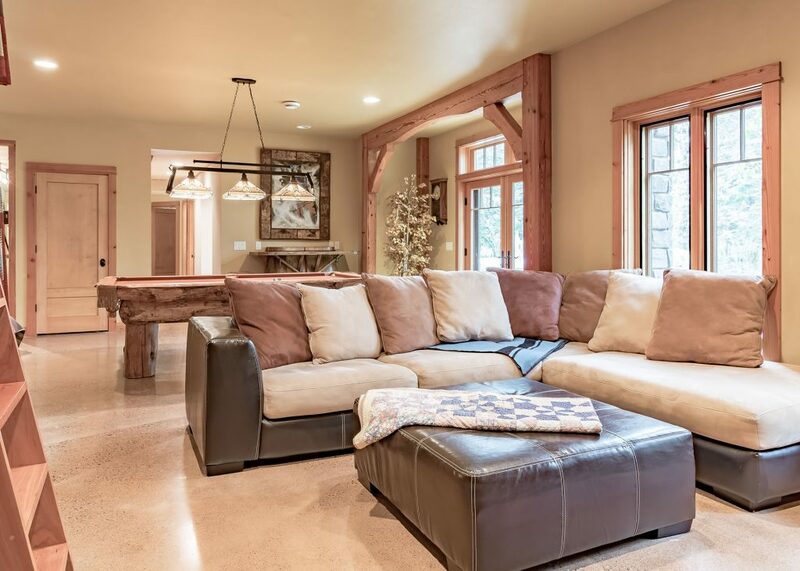 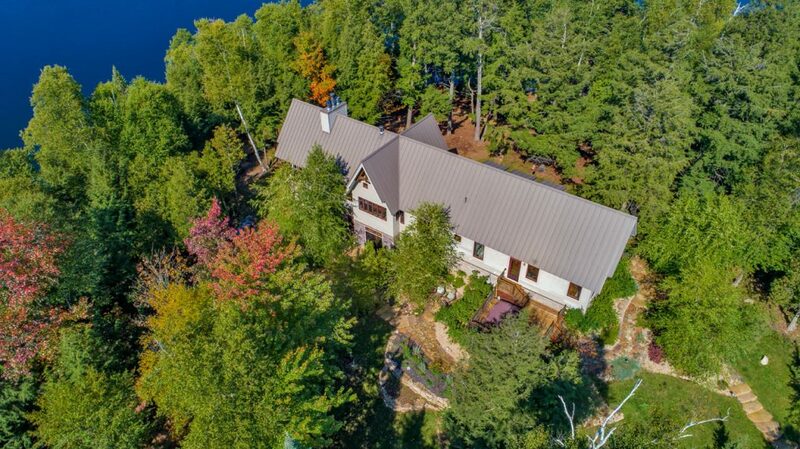 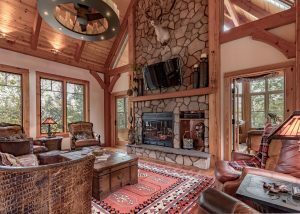 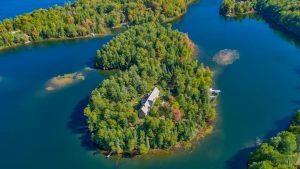 The incredible architecturally designed timber frame home with lake views from all sides is truly a well thought out use of the Island's beauty. 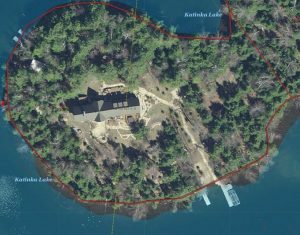 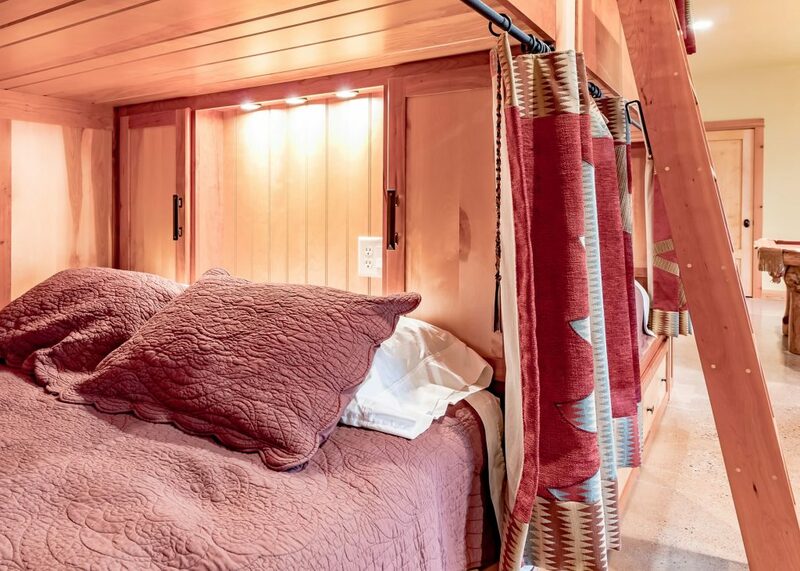 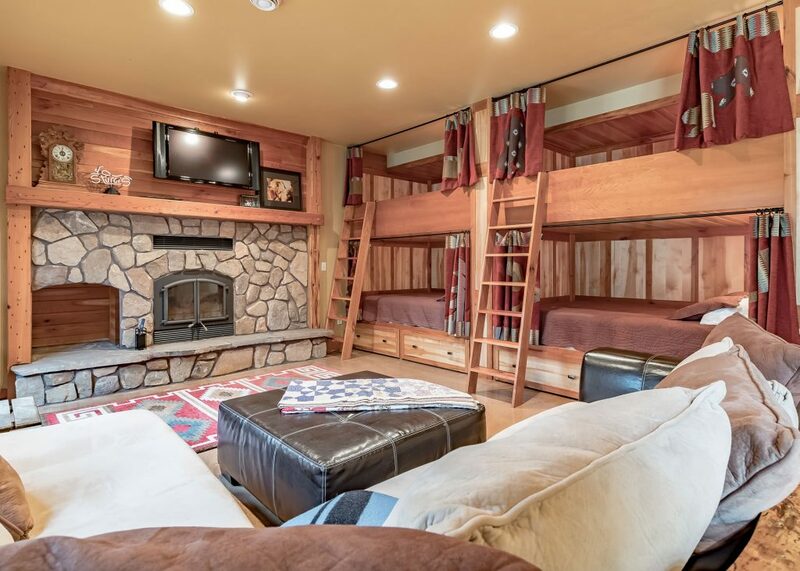 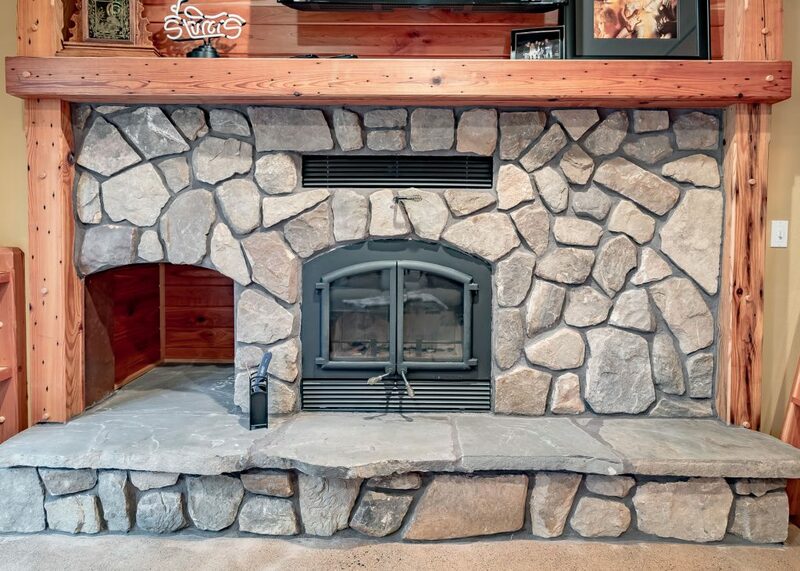 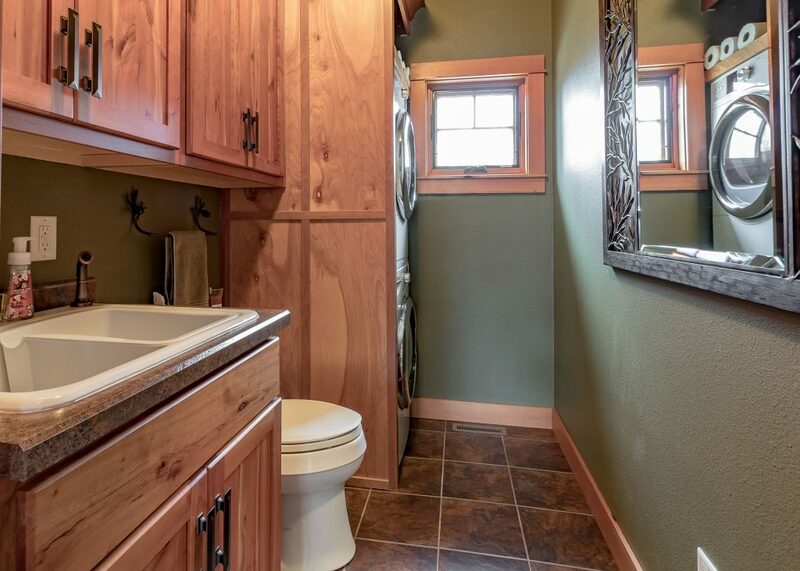 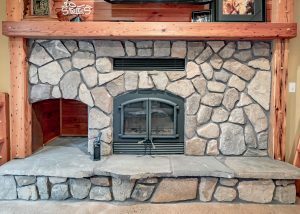 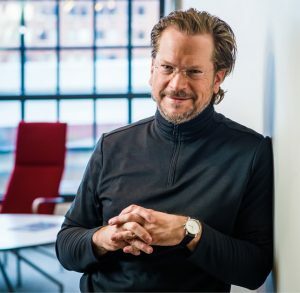 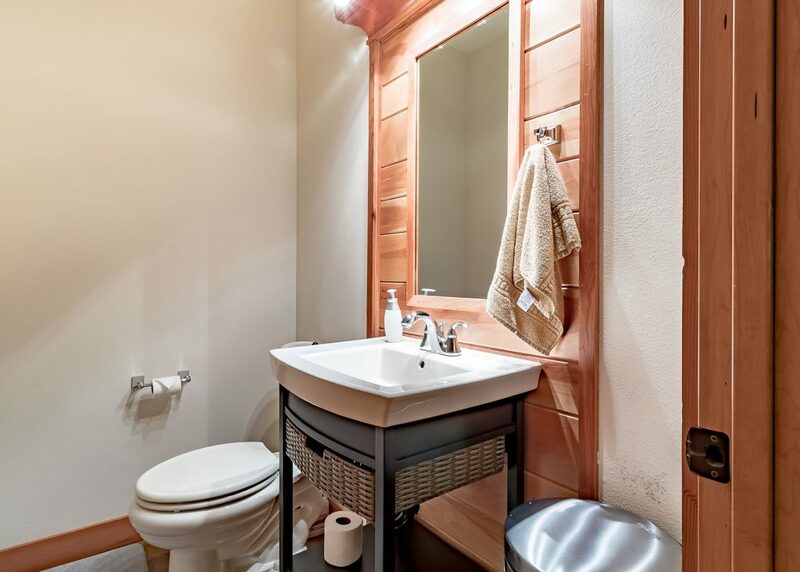 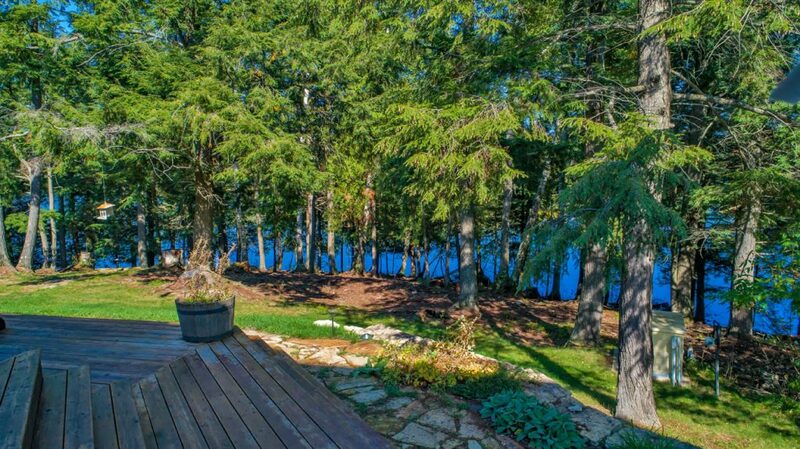 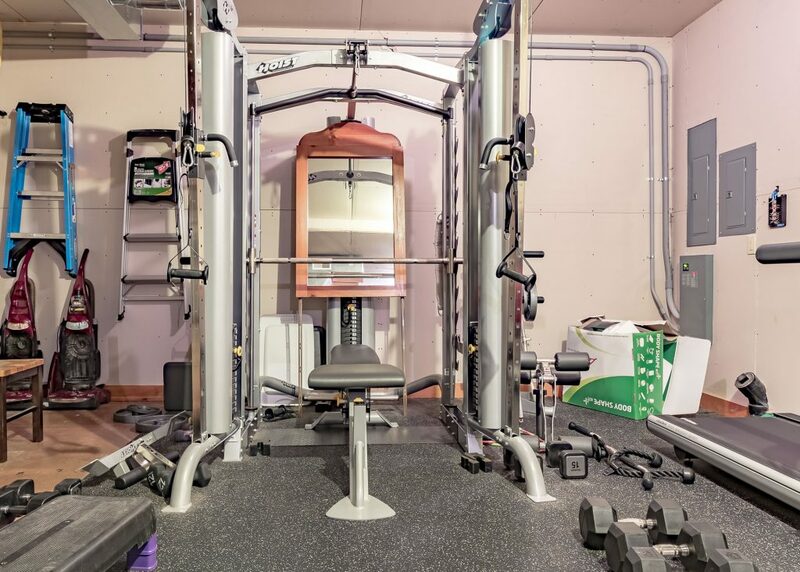 Of course it has all the expected amenities a private hideout would incorporate. 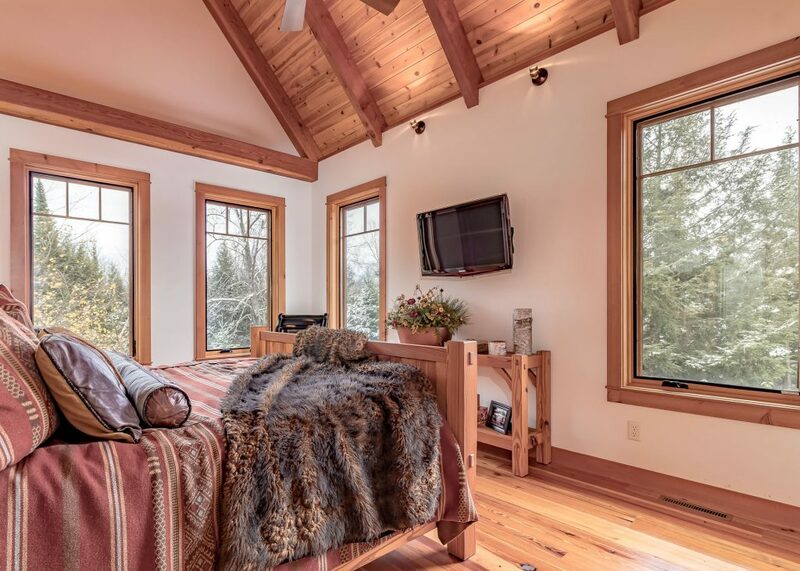 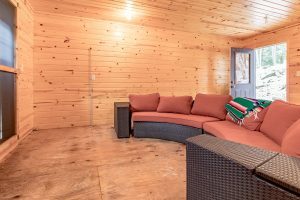 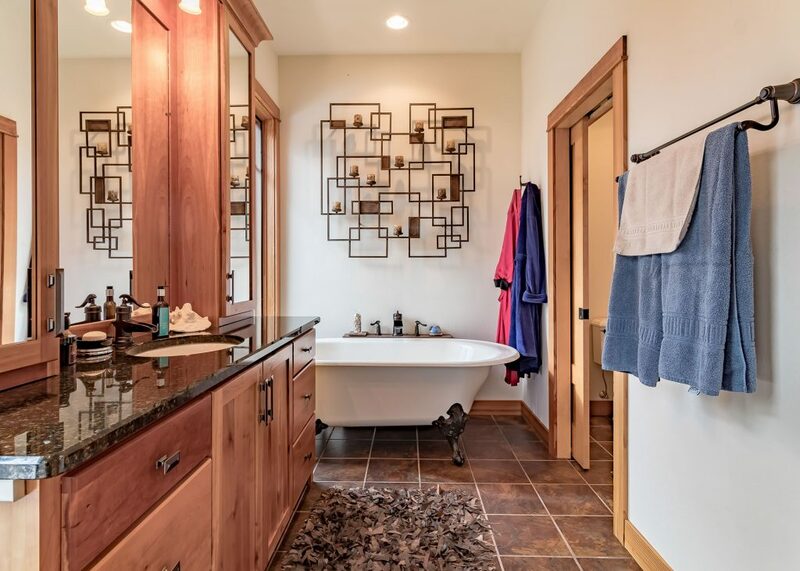 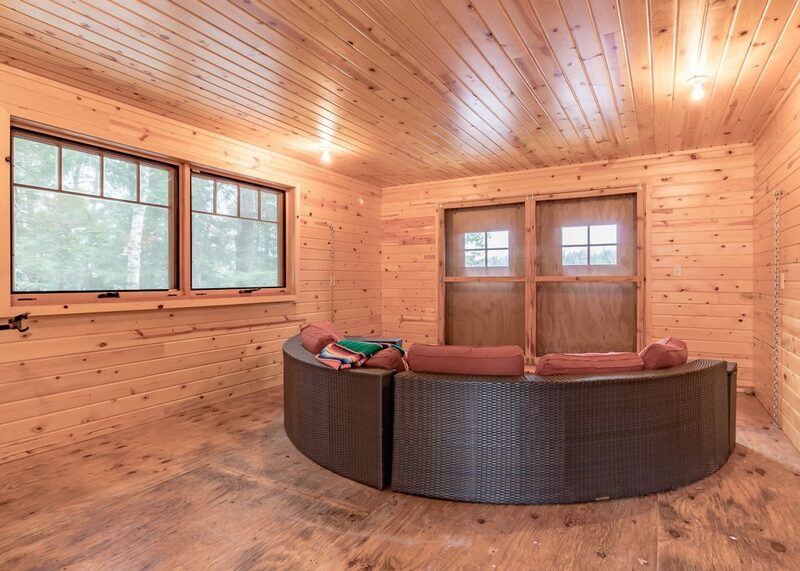 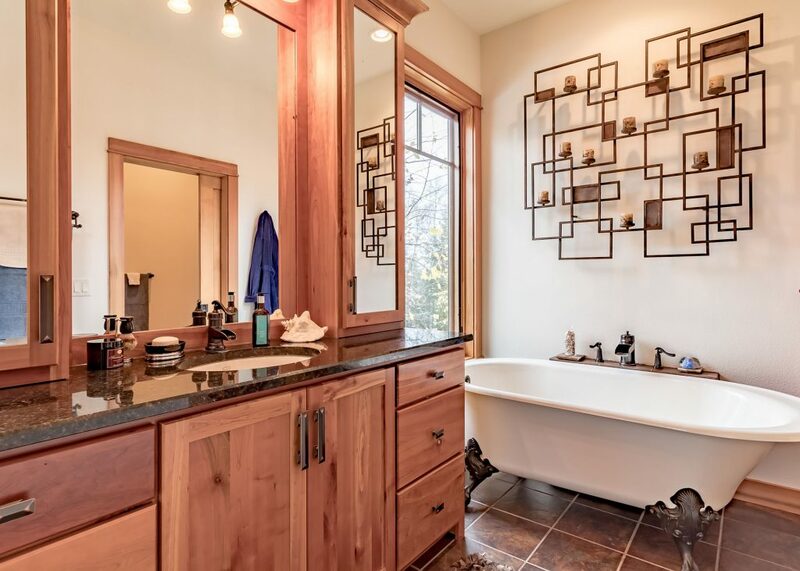 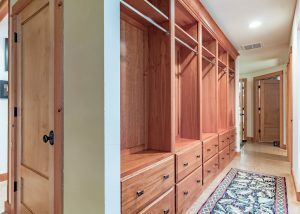 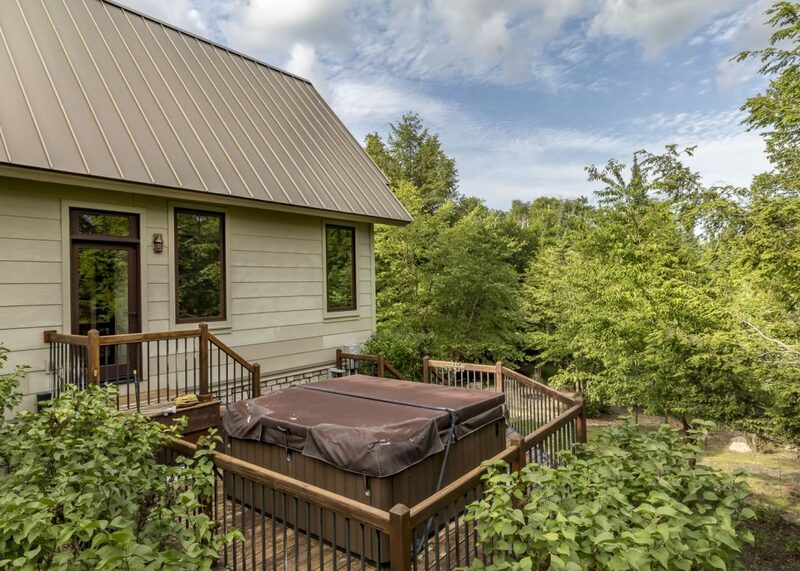 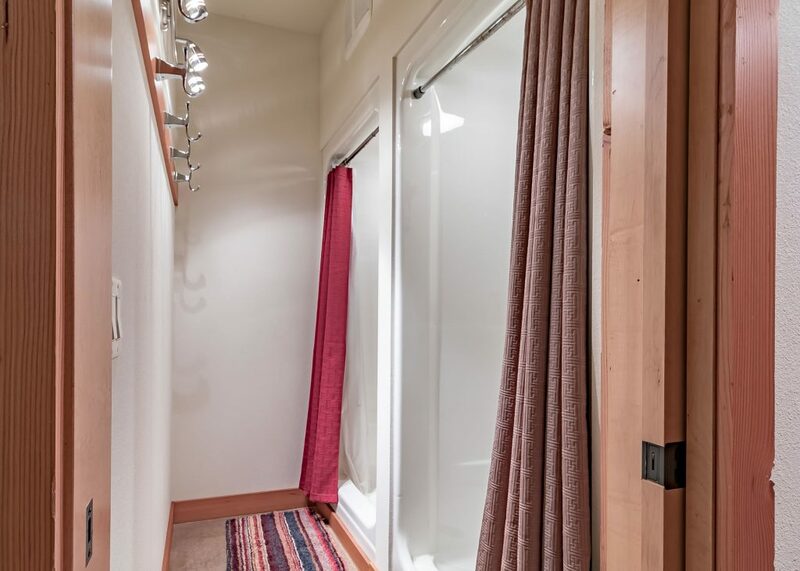 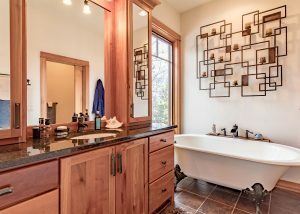 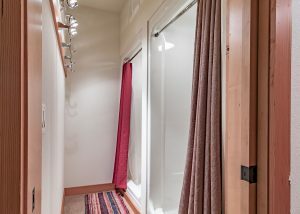 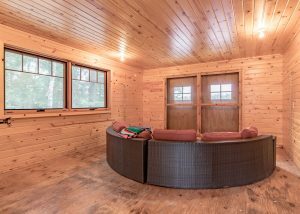 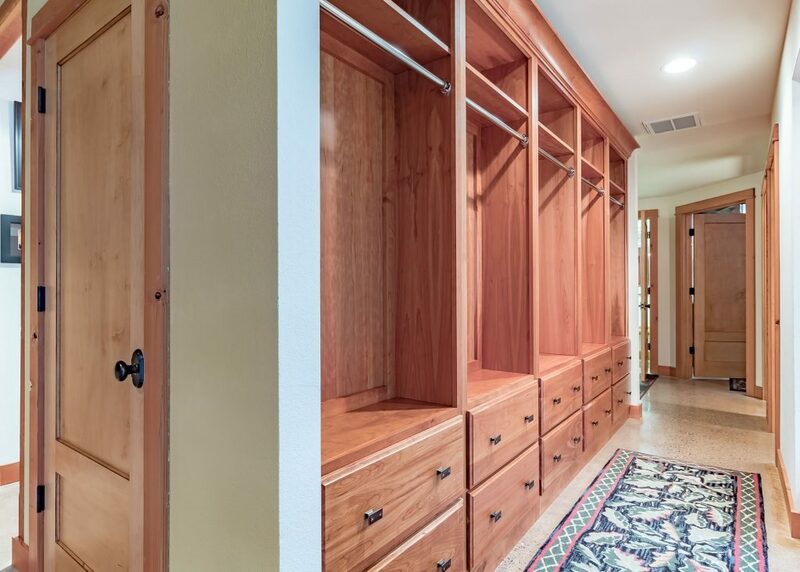 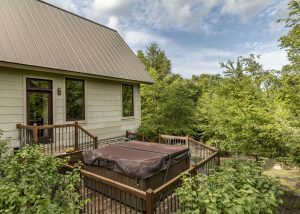 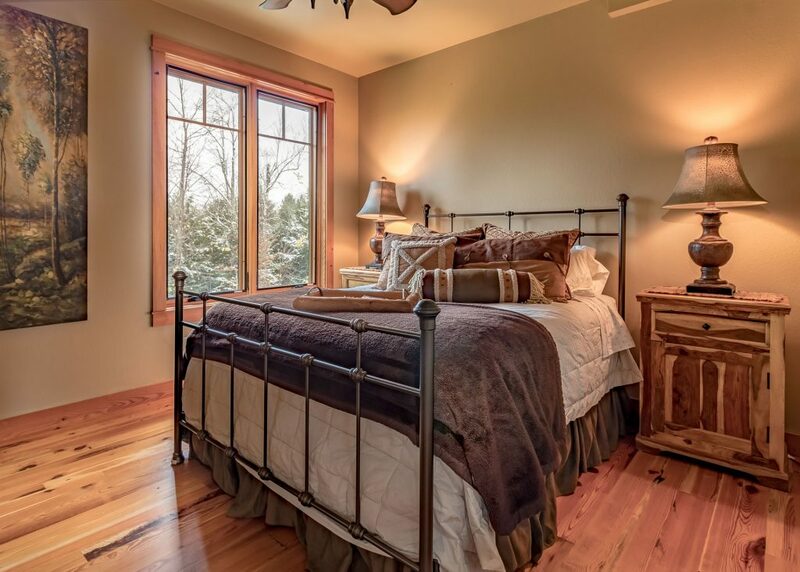 Superb floor plan includes beautiful well-appointed master bedroom suite with its own entrance to an inviting hot tub, gaze at the stars in every season while sitting in bubbly warmth. 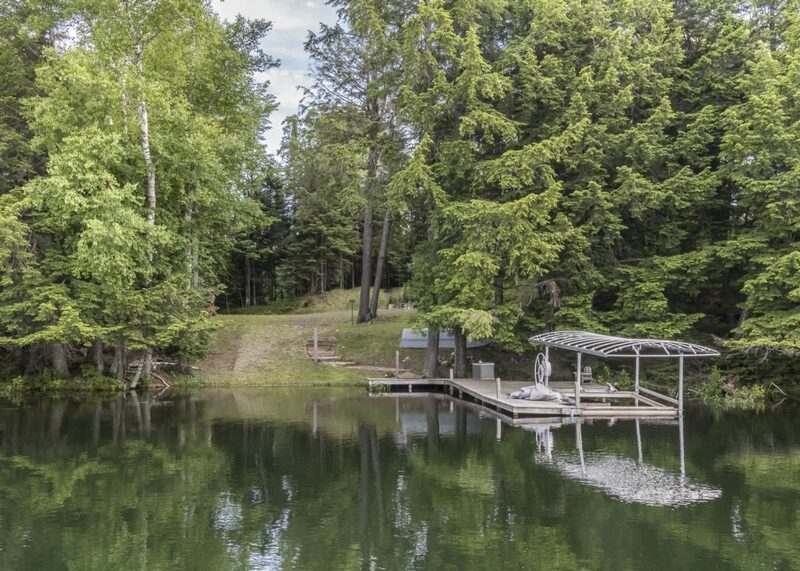 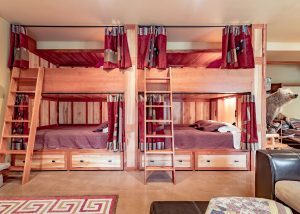 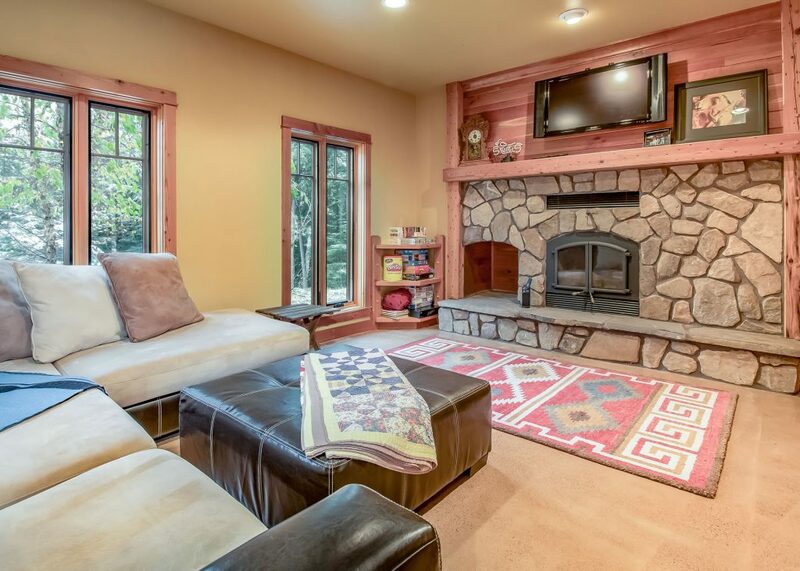 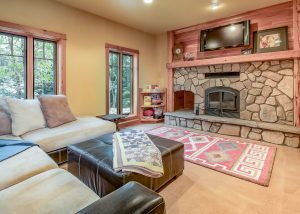 This is your invitation to expected luxury in a timeless private lake house! 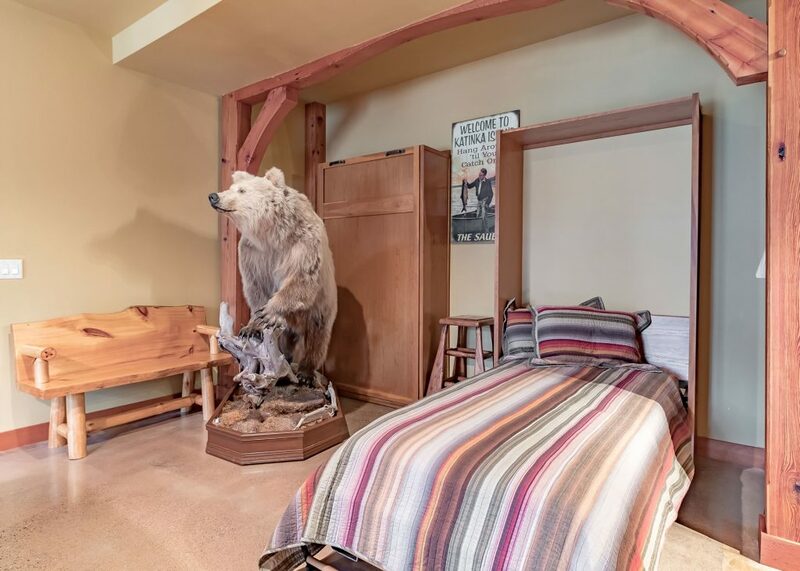 Presenting the innovative and immersive 3D tour. 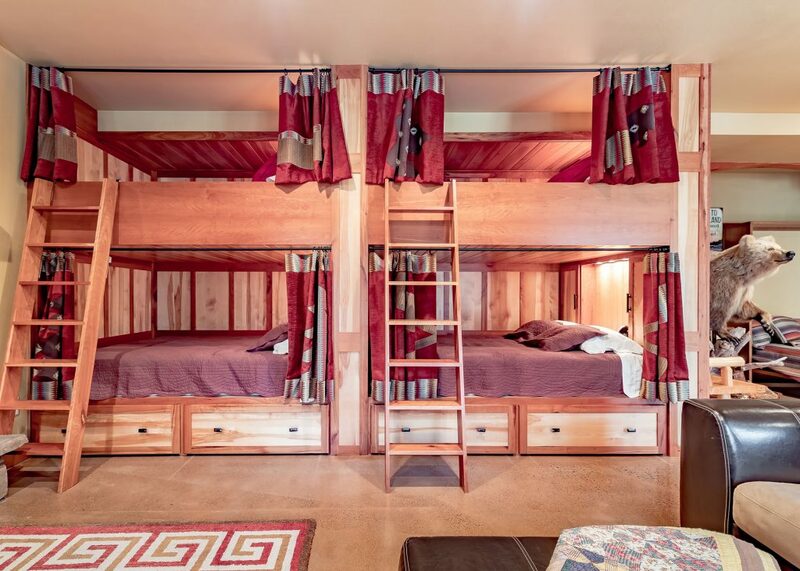 The tour will load in a few seconds. 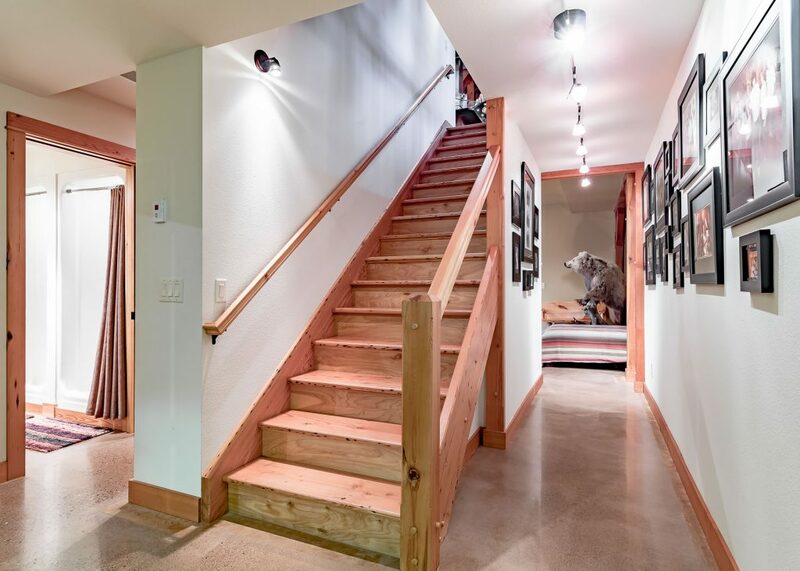 Double click with your mouse or use the arrow keys to 'Walk-Around'. 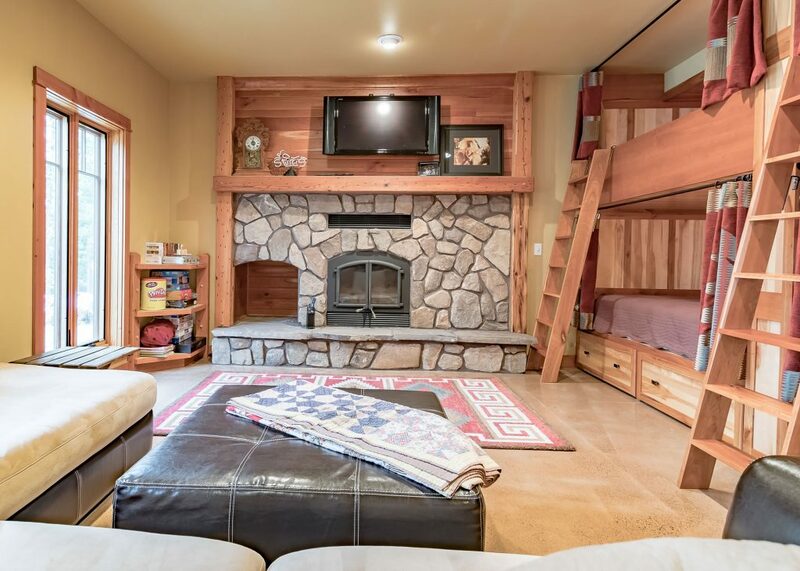 Click on the Floor Plan and Doll House icons in the bottom left corner. Then, click on any room to 'fly-in' and begin your Walk-Around. Note: viewer is optimized for iOS8 or newer on iOS, and Google Chrome for desktop and Android devices. 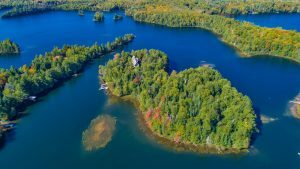 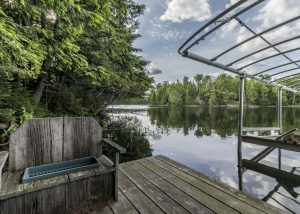 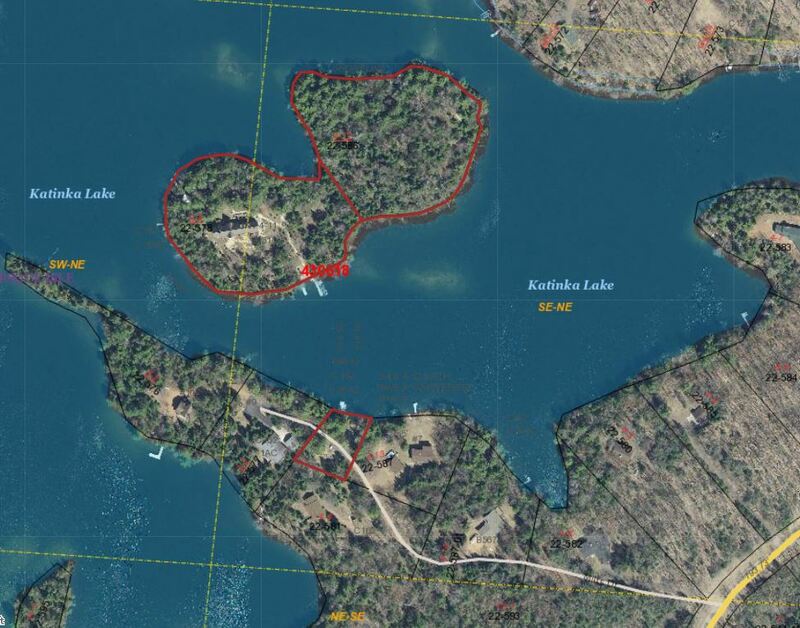 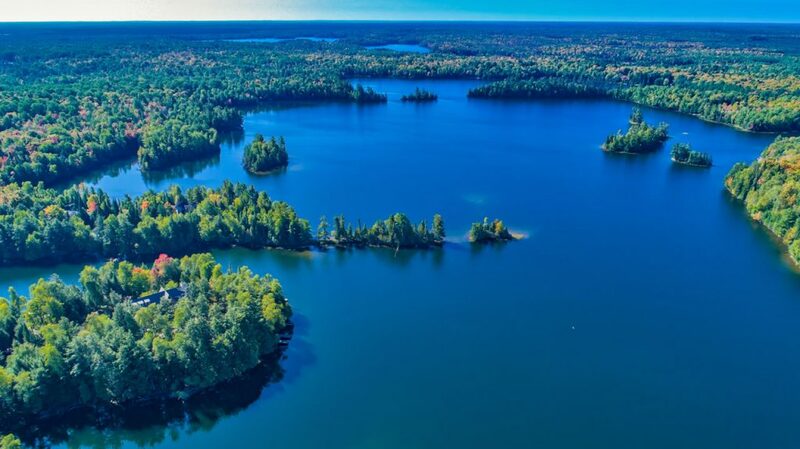 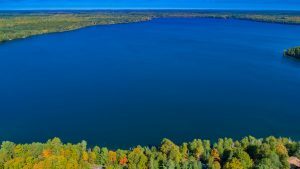 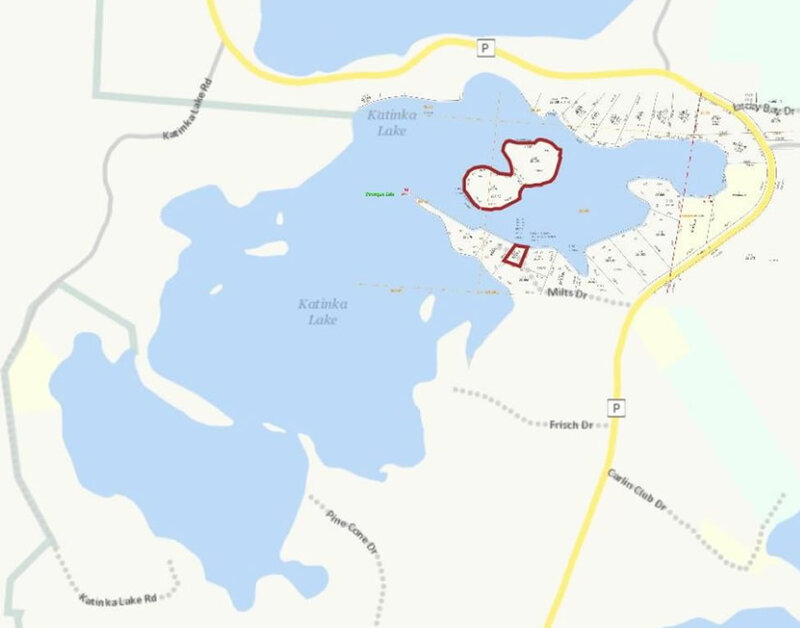 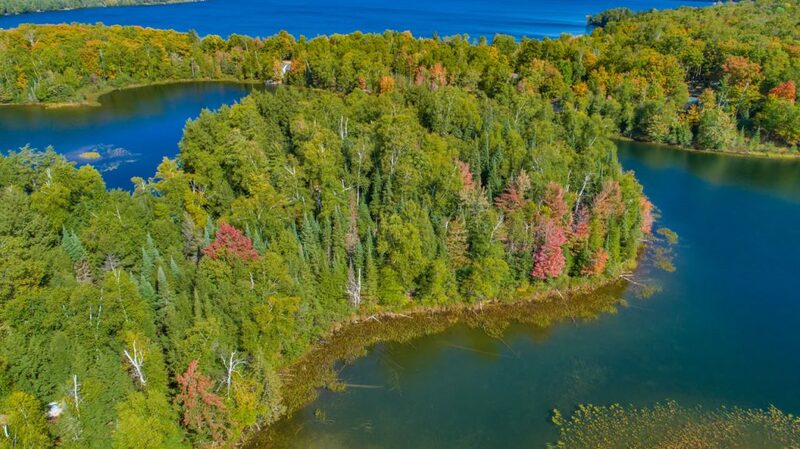 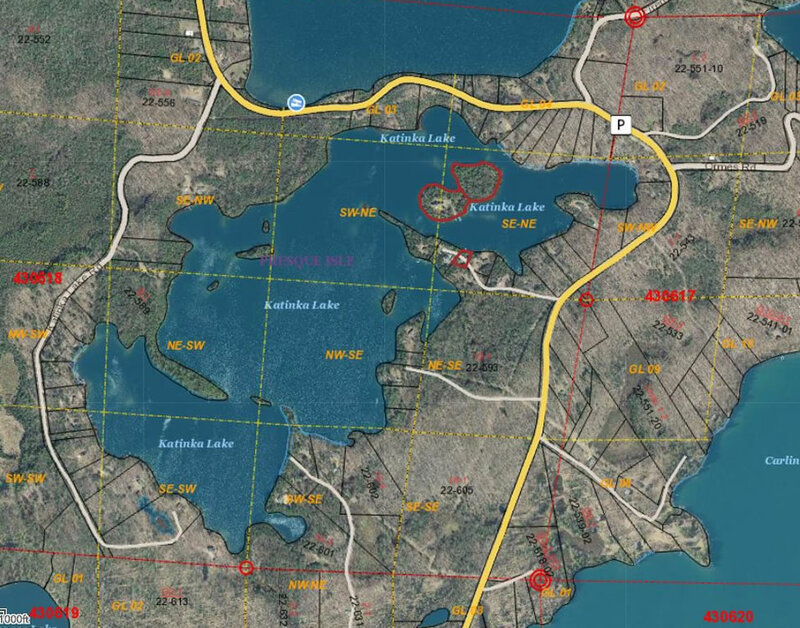 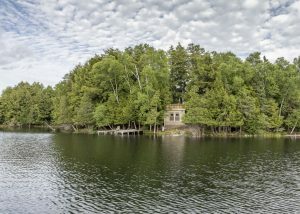 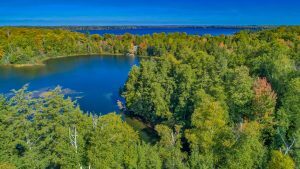 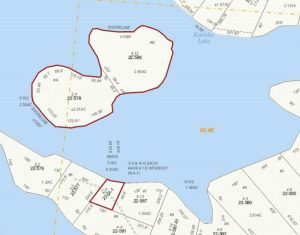 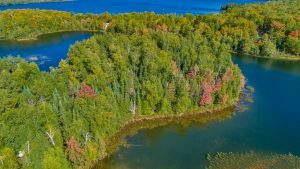 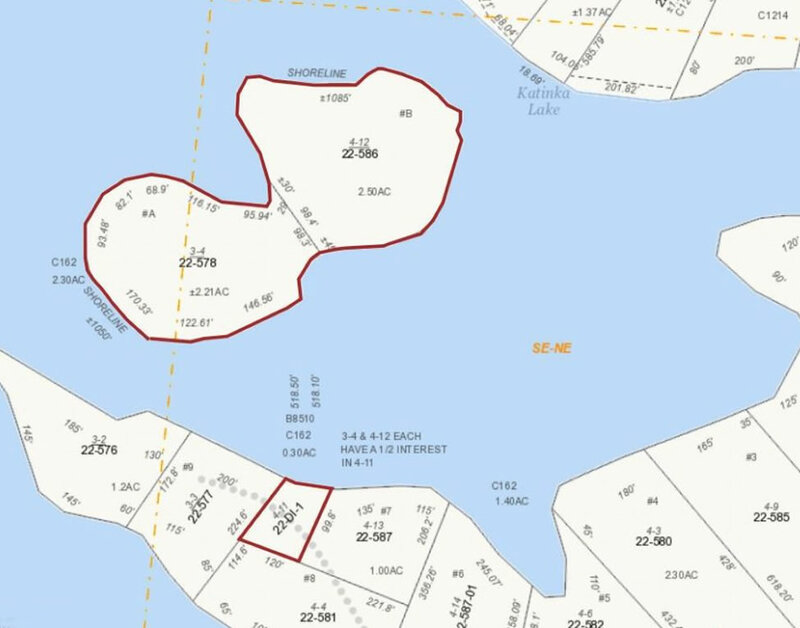 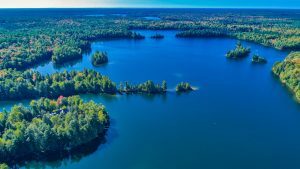 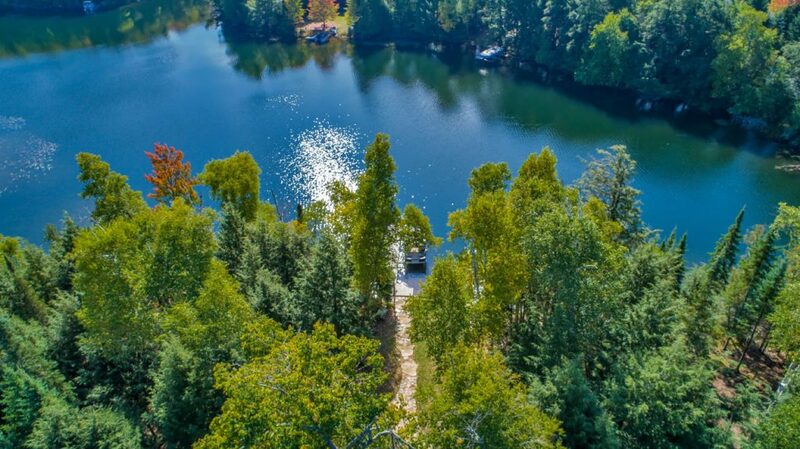 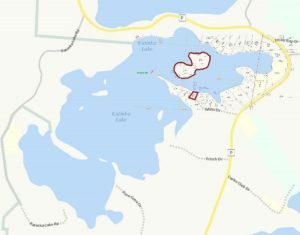 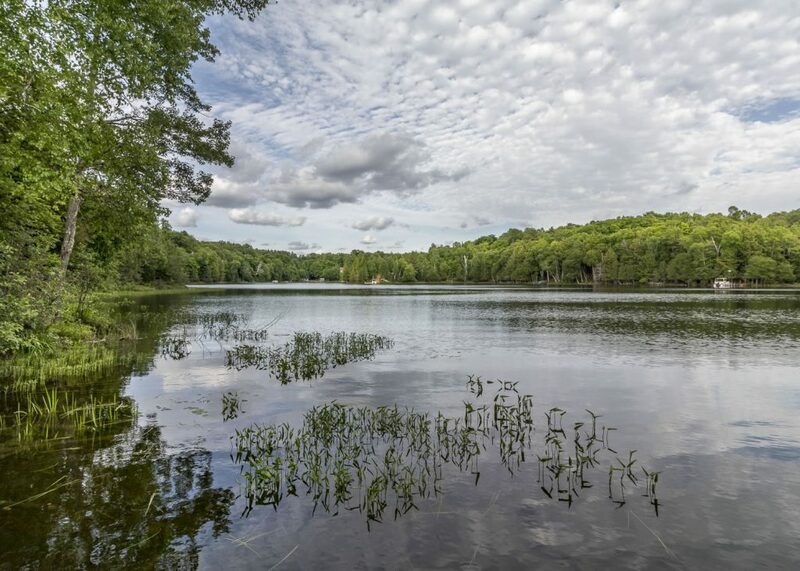 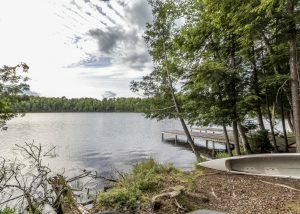 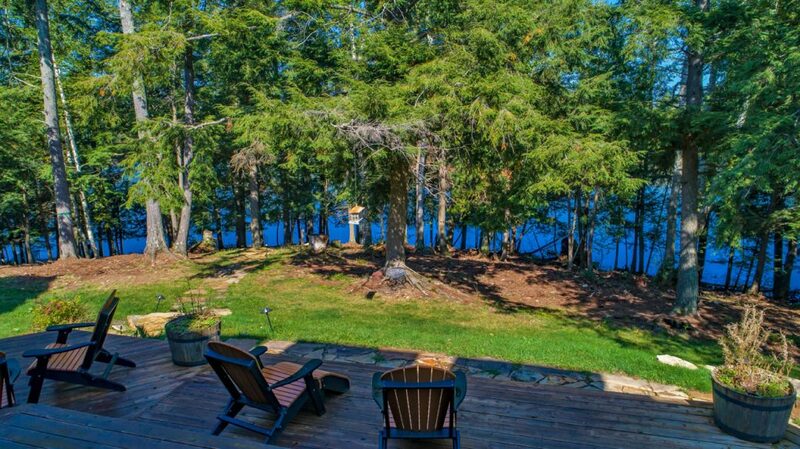 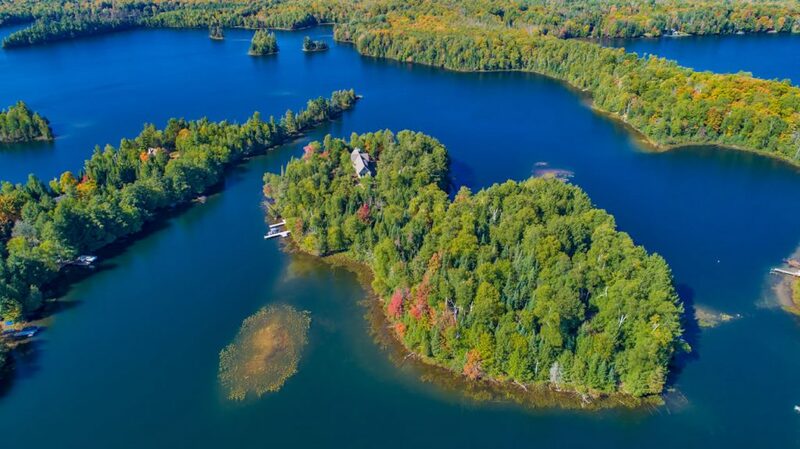 172 acre Katinka Lake – no public access lake – depths up to 60 feet – Canadian like views! 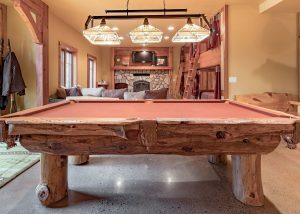 Green Foundation – 7 1⁄4” treated wood – respectful of the environment! 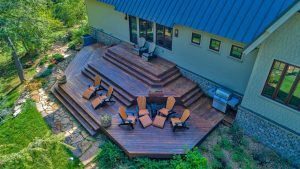 Overall, the design of the home is custom tailored to balance intimacy and gathering at multiple scales. Beit for a couple, a family or larger gathering the Katinka House is designed as a quintessential island home with multiple options for gathering and entertaining – all with incredible connections to its serene island setting. 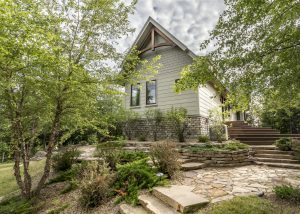 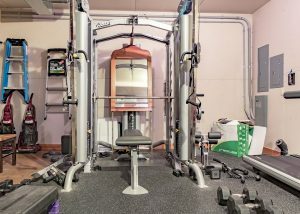 For further information or to view this beautiful home, please call or text.